This is the latest accepted revision, reviewed on 26 April 2019. For the current season, see American Idol (season 17). American Idol is an American singing competition television series created by Simon Fuller, produced by Fremantle USA and 19 Entertainment, and distributed by Fremantle North America. It initially aired on Fox from June 11, 2002, to April 7, 2016, for 15 seasons. Since March 11, 2018, a revival of the series has aired on ABC. It started as an addition to the Idols format that was based on Pop Idol from British television, and became one of the most successful shows in the history of American television. The concept of the series involves discovering recording stars from unsigned singing talents, with the winner determined by American viewers using phones, Internet, and SMS text voting. The winners of the first sixteen seasons, as chosen by viewers, are Kelly Clarkson, Ruben Studdard, Fantasia Barrino, Carrie Underwood, Taylor Hicks, Jordin Sparks, David Cook, Kris Allen, Lee DeWyze, Scotty McCreery, Phillip Phillips, Candice Glover, Caleb Johnson, Nick Fradiani, Trent Harmon, and Maddie Poppe, respectively. American Idol employs a panel of vocal judges who critique the contestants' performances. The original judges, for the first through eighth seasons, were record producer and music manager Randy Jackson, singer and choreographer Paula Abdul, and music executive and manager Simon Cowell. The judging panel for the last three seasons on Fox consisted of singers Keith Urban, Jennifer Lopez, and Harry Connick, Jr. The sixteenth season brought three new judges: singers Lionel Richie, Katy Perry, and Luke Bryan. The first season was hosted by radio personality Ryan Seacrest and comedian Brian Dunkleman, but Seacrest remained as the sole master of ceremonies for the rest of the series. The success of American Idol has been described as "unparalleled in broadcasting history". A rival TV executive said the series was "the most impactful show in the history of television". It became a recognized springboard for launching the career of many artists as bona fide stars. According to Billboard magazine, in its first ten years, "Idol has spawned 345 Billboard chart-toppers and a platoon of pop idols, including Kelly Clarkson, Carrie Underwood, Chris Daughtry, Fantasia, Ruben Studdard, Jennifer Hudson, Clay Aiken, Adam Lambert, and Jordin Sparks while remaining a TV ratings juggernaut." For an unprecedented eight consecutive years, from the 2003–04 television season through the 2010–11 season, either its performance show or result show was ranked number one in U.S. television ratings. American Idol was based on the British show Pop Idol created by Simon Fuller, which was in turn inspired by the New Zealand television singing competition Popstars. Television producer Nigel Lythgoe saw a version in Australia and helped bring it over to Britain. Fuller was inspired by the idea from Popstars of employing a panel of judges to select singers in audition. He then added other elements, including telephone voting by the viewing public (which at the time was already in use in shows, such as the Eurovision Song Contest), the drama of backstories, and real-life soap opera unfolding in real time. Pop Idol debuted in Britain in 2001 with Lythgoe as showrunner‍—‌the executive producer and production leader‍—‌and Simon Cowell as one of the judges, and was successful with the viewing public. In 2001, Fuller, Cowell, and TV producer Simon Jones attempted to sell the Pop Idol format to the United States, but the idea was initially met with poor responses from all the television networks including Fox. However, Rupert Murdoch, head of Fox's parent company, was later persuaded to buy the series by his daughter, Elisabeth, who had seen the British show. Although Fox's executives wanted to change the format, Murdoch insisted that it should remain the same as the British one. One change was nevertheless made due to the presence of multiple time zones in the United States that made it impractical for the country to vote in the same time period, an additional half-hour results show was therefore added the day following the performance show. The show was renamed American Idol: The Search for a Superstar and debuted in the summer of 2002. Cowell was initially offered the job of showrunner, but turned down the offer; Lythgoe then took over that position. Much to the surprise of Cowell and Fox, it became one of the biggest shows of the summer. With its successful launch in the summer, the show was then moved to January and expanded. The show grew into a phenomenon largely due to its personal engagement with the contestants by prompting the viewers to vote, and the presence of the acid-tongued Cowell as a judge. By 2004, it had become the most-watched show on U.S. television, a position it then held for seven consecutive seasons. However, after a few years of sharp declining ratings starting in 2012, with rating falls of over 20% each season, the fifteenth season would be its last, ending its run in April 2016. In May 2017, ABC acquired the rights to the series and the program returned for the 2017–18 television season. The show had originally planned on having four judges following the Pop Idol format; however, only three judges had been found by the time of the audition round in the first season, namely Randy Jackson, Paula Abdul and Simon Cowell. A fourth judge, radio DJ Stryker, was originally chosen but he dropped out citing "image concerns". In the second season, New York radio personality Angie Martinez had been hired as a fourth judge but withdrew only after a few days of auditions due to not being comfortable with giving out criticism. The show decided to continue with the three judges format until the eighth season. All three original judges stayed on the judging panel for eight seasons. In the eighth season, Latin Grammy Award-nominated singer-songwriter and record producer Kara DioGuardi was added as a fourth judge. She stayed for two seasons and left the show before the tenth season. Paula Abdul left the show before the ninth season after failing to agree to terms with the show producers. Emmy Award-winning talk show host Ellen DeGeneres replaced Paula Abdul for that season, but left after just one season. On January 11, 2010, Simon Cowell left the show to pursue introducing the American version of his show The X Factor for 2011. Jennifer Lopez and Steven Tyler joined the judging panel in the tenth season, but both left after two seasons. They were replaced by three new judges, Mariah Carey, Nicki Minaj and Keith Urban, who joined Randy Jackson in the twelfth season. However both Carey and Minaj left after one season, and Randy Jackson departed the show after twelve seasons as a judge but would return as a mentor. Urban was the only judge from the tweflth season to return in the thirteenth. He was joined by previous judge Jennifer Lopez and former mentor Harry Connick, Jr. Lopez, Urban and Connick, Jr. all returned as judges for the show's fourteenth and fifteenth seasons. Katy Perry, Luke Bryan and Lionel Richie were the judges on the sixteenth season. Guest judges may occasionally be introduced. In the second season, guest judges such as Lionel Richie and Robin Gibb were used, and in the third season Donna Summer, Quentin Tarantino and some of the mentors also joined as judges to critique the performances in the final rounds. Guest judges were used in the audition rounds, Gene Simmons and LL Cool J in the fourth season, Jewel and Olivia Newton-John in the sixth season, Shania Twain in the eighth season, Neil Patrick Harris, Avril Lavigne and Katy Perry in the ninth season and Adam Lambert in the fourteenth season. The first season was co-hosted by Ryan Seacrest and Brian Dunkleman following the format of Pop Idol of using two presenters. Dunkleman quit thereafter, making Seacrest the sole emcee of the show starting with the second season. Dunkleman did, however, return in the initial series finale on Fox. Seacrest returned for the sixteenth and seventeenth seasons. On April 8, 2019, Bobby Bones subbed for Ryan when he was out sick. In a series of steps, the show selected the eventual winner out of many tens of thousands of contestants. The eligible age-range for contestants was fifteen to twenty-eight years old. The initial age limit was sixteen to twenty-four in the first three seasons, but the upper limit was raised to twenty-eight in the fourth season, and the lower limit was reduced to fifteen in the tenth season. The contestants had to be legal U.S. residents, could not have advanced to particular stages of the competition in previous seasons, and must not have held a current recording or talent representation contract by the semi-final stage (in previous years by the audition stage). Season nine's Denver audition, at Invesco Field at Mile High. Contestants went through at least three sets of cuts. The first was a brief audition with a few other contestants in front of selectors which may include one of the show's producers. Although auditions can exceed 10,000 in each city, only a few hundred of these made it past the preliminary round of auditions. Successful contestants then sang in front of producers, where more may be cut. Only then can they proceed to audition in front of the judges, which is the only audition stage shown on television. Those selected by the judges are sent to Hollywood. Between 10–60 people in each city may make it to Hollywood. Once in Hollywood, the contestants performed individually or in groups in a series of rounds. Until the tenth season, there were usually three rounds of eliminations in Hollywood. In the first round the contestants emerged in groups but performed individually. For the next round, the contestants put themselves in small groups and performed a song together. In the final round, the contestants performed solo with a song of their choice a cappella or accompanied by a band‍—‌depending on the season. In the second and third seasons, contestants were also asked to write original lyrics or melody in an additional round after the first round. In the seventh season, the group round was eliminated and contestants may, after a first solo performance and on judges approval, skip a second solo round and move directly to the final Hollywood round. In the twelfth season, the executive producers split up the females and males and chose the members to form the groups in the group round. In the tenth and eleventh seasons, a further round was added in Las Vegas, where the contestants performed in groups based on a theme, followed by one final solo round to determine the semi-finalists. At the end of this stage of the competition, 24 to 36 contestants were selected to move on to the semi-final stage. In the twelfth season the Las Vegas round became a Sudden Death round, where the judges had to choose five guys and five girls each night (four nights) to make the top twenty. In the thirteenth season, the Las Vegas round was eliminated and a new round called "Hollywood or Home" was added, where if the judges were uncertain about some contestants, those contestants were required to perform soon after landing in Los Angeles, and those who failed to impress were sent back home before they reached Hollywood. In the fourteenth season, a Showcase round was added, where the contestants performed at a LA nightclub or auditorium for the judges and a live audience, and these performances determine who makes into the Top 24. From the semi-finals onward, the fate of the contestants was decided by public vote. During the contestant's performance as well as the recap at the end, a toll-free telephone number for each contestant was displayed on the screen. For a two-hour period after the episode ends (up to four hours for the finale) in each US time zone, viewers may call or send a text message to their preferred contestant's telephone number, and each call or text message was registered as a vote for that contestant. Viewers were allowed to vote as many times as they can within the two-hour voting window. However, the show reserves the right to discard votes by power dialers. One or more of the least popular contestants may be eliminated in successive weeks until a winner emerges. Over 110 million votes were cast in the first season, and by the tenth season the seasonal total had increased to nearly 750 million. Voting via text messaging was made available in the second season when AT&T Wireless joined as a sponsor of the show, and 7.5 million text messages were sent to American Idol that season. The number of text messages rapidly increased, reaching 178 million texts by the eighth season. Online voting was offered for the first time in the tenth season. The votes are counted and verified by Telescope Inc. In the first three seasons, the semi-finalists were split into different groups to perform individually in their respective night. In the first season, there were three groups of ten, with the top three contestants from each group making the finals. In the second and third seasons, there were four groups of eight, and the top two of each selected. These seasons also featured a wildcard round, where contestants who failed to qualify were given another chance. In the first season, only one wildcard contestant was chosen by the judges, giving a total of ten finalists. In the second and third seasons, each of the three judges championed one contestant with the public advancing a fourth into the finals, making 12 finalists in all. From the fourth through seventh and ninth seasons, the twenty-four semi-finalists were divided by gender in order to ensure an equal gender division in the top twelve. The men and women sang separately on consecutive nights, and the bottom two in each groups were eliminated each week until only six of each remained to form the top twelve. The wildcard round returned in the eighth season, wherein there were three groups of twelve, with three contestants moving forward – the highest male, the highest female, and the next highest-placed singer – for each night, and four wildcards were chosen by the judges to produce a final 13. Starting in tenth season, the girls and boys perform on separate nights. In the tenth and eleventh seasons, five of each gender were chosen, and three wildcards were chosen by the judges to form a final 13. In the twelfth season, the top twenty semifinalists were split into gender groups, with five of each gender advancing to form the final 10. In the thirteenth season, there were thirty semifinalists, but only twenty semifinalists (ten for each gender) were chosen by the judges to perform on the live shows, with five in each gender based on the vote and three wildcards chosen by the judges composing the final 13. In the fourteenth season, the top 24 performed at The Fillmore Detroit, starting with the 12 males on one night and then the 12 females on the next night. The following week, the same order went for the top 16, with four males eliminated, followed by four females based on the vote. Then, on the first night of finals, a similar sequence from the thirteenth season was used to determine the final 12, with five of each gender based on the vote and two wildcards chosen by the judges. In the fifteenth season, the top 24 performed at Cathedral of Saint Vibiana in Los Angeles and were split into two groups of twelve and performed twice, one being a solo performance and one being a duet with a former Idol contestant. In each group, the judges chose 7 contestants to advance to the top 14 where the judges chose 4 to advance to the top 10 and remaining 6 contestants were chosen based on the vote. In the sixteenth season, the top 24 performed at the Academy in the Heart of LA, and the show repeated the process from the previous season. However, instead of Idol alumnus as duet partners, superstar celebrity singers were used as the duet partners. In the seventeenth season, the show repeated the process again. However, instead of a top 24, it's a top 20, the contestants performed at the Wiltern Theatre in Los Angeles, and performed solos in one episode, and performed the duets in two episodes. The finals were broadcast in prime time from CBS Television City in Los Angeles, in front of a live studio audience. The finals lasted eight weeks in the first season. From the second to ninth and fourteenth seasons, the finals lasted eleven weeks. The tenth and eleventh seasons lasted for twelve weeks, while the twelfth season lasted for ten weeks. In the thirteenth season, the finals lasted thirteen weeks. The finals lasted seven weeks in the fifteenth season, and six weeks in the sixteenth season. Each finalist performs songs based on a weekly theme which may be a musical genre such as Motown, disco, or big band, songs by artists such as Michael Jackson, Elvis Presley or The Beatles, or more general themes such as Billboard number-one hits or songs from the contestant's year of birth. Contestants usually worked with a celebrity mentor related to the theme. In the tenth season, Jimmy Iovine was brought in as a mentor for the season. Initially the contestants sang one song each week, but this was increased to two songs from top four or five onwards, then three songs for the top two or three. The most popular contestants were usually not revealed in the results show. Instead, typically the three contestants (two in later rounds) who received the lowest number of votes was called to the center of the stage. One of these three was usually sent to safety; however the two remaining were not necessarily the bottom two. The contestant with the fewest votes was then revealed and eliminated from the competition. A montage of the eliminated contestant's time on the show was played and they gave their final performance (from the fourteenth season onward, the montage and the final performance were dropped). However, in the sixth season, during the series' first ever Idol Gives Back episode, no contestant was eliminated, but on the following week, two were sent home. Moreover, starting in eighth season, the judges may overturn viewers' decision with a "Judges' Save" if they unanimously agreed to. "The save" could only be used once, and only up through the top five. In the eighth to tenth and fourteenth seasons, a double elimination then took place in the week following the activation of the save, but in the eleventh and thirteenth seasons, a regular single elimination took place. The save was not activated in the twelfth season and consequently, a non-elimination took place in the week after its expiration with the votes then carrying over into the following week. The "Fan Save" was introduced in the fourteenth season. During the finals, viewers were given a five-minute window to vote for the contestants in danger of elimination by using their Twitter account to decide which contestant will move on to the next show, starting with the Top 8. The finale was the two-hour last episode of the season, culminating in revealing the winner. For the first, third through sixth and fourteenth through fifteenth seasons it was broadcast from the Dolby Theatre, which has an audience capacity of approximately 3,400. The second-season finale took place at the Gibson Amphitheatre, which had an audience capacity of over 6,000. In the seventh through thirteenth seasons, the venue was at the Nokia Theater, which holds an audience of over 7,000. In the sixteenth season, the venue did not change from the Finals. The winner received a record deal with a major label, which may be for up to six albums, and secures a management contract with American Idol-affiliated 19 Management (which has the right of first refusal to sign all contestants), as well as various lucrative contracts. All winners prior to the ninth season reportedly earned at least $1 million in their first year as winner. All the runners-up of the first ten seasons, as well as some of other finalists, had also received record deals with major labels. However, starting in the eleventh season, the runner-up may only be guaranteed a single-only deal. BMG/Sony (first through ninth seasons), UMG (tenth through fifteenth seasons), and Hollywood Records (sixteenth season onward) had the right of first refusal to sign contestants for three months after the season's finale. Starting in the fourteenth season, the winner was signed with Big Machine Records. Prominent music mogul Clive Davis also produced some of the selected contestants' albums, such as Kelly Clarkson, Clay Aiken, Fantasia Barrino and Diana DeGarmo. All top 10 (11 in the tenth and twelfth seasons, 5 in the fourteenth season, and 7 in the sixteenth season) finalists earn the privilege of going on a tour, where the participants may each earn a six-figure sum. Each season premieres with the audition round, taking place in different cities. The audition episodes typically feature a mix of potential finalists, interesting characters and woefully inadequate contestants. Each successful contestant receives a golden ticket to proceed on to the next round in Hollywood. Based on their performances during the Hollywood round (Las Vegas round from the tenth through twelfth seasons), 24 to 36 contestants are selected by the judges to participate in the semifinals. From the semifinals onward the contestants perform their songs live, with the judges making their critiques after each performance. The contestants are voted for by the viewing public, and the outcome of the public votes is then revealed during a results segment. The results segment feature group performances by the contestants as well as guest performers. The Top-three results also features homecoming events for the Top 3 finalists. The season reaches its climax in a two-hour results finale show, where the winner of the season is revealed. With the exception of the first two seasons, the contestants in the semifinals onward perform in front of a studio audience. They perform with a full band in the finals. The current musical director is Kris Pooley, who has been with the show since the sixteenth season. In previous seasons, the American Idol band was led by Rickey Minor (fourth through ninth and thirteenth through fifteenth seasons) and Ray Chew (tenth through twelfth seasons). Assistance has also been given by vocal coaches and song arrangers, such as Michael Orland and Debra Byrd to contestants behind the scene. Starting with the seventh season, contestants may perform with a musical instrument from the Hollywood rounds onward. In later seasons, the contestants were allowed to perform with a musical instrument in the auditions. During the first nine seasons, performances were usually aired live on Tuesday nights, followed by the results shows on Wednesdays, but moved to Wednesdays and Thursdays from the tenth through thirteenth seasons. From the fourteenth season onward, there were no separate results shows. On the fourteenth season, the show aired on Wednesday nights, and on the fifteenth season, Thursday nights. From the sixteenth season onward, it aired on Sundays and Mondays. The first season of American Idol debuted as a summer replacement show in June 2002 on the Fox network. It was co-hosted by Ryan Seacrest and Brian Dunkleman. In the audition rounds, 121 contestants were selected from around 10,000 who attended the auditions. These were cut to 30 for the semifinal, with ten going on to the finals. One semifinalist, Delano Cagnolatti, was disqualified for lying to evade the show's age limit. One of the early favorites, Tamyra Gray, was eliminated at the top four, the first of several such shock eliminations that were to be repeated in later seasons. Christina Christian was hospitalized before the top six result show due to chest pains and palpitations, and she was eliminated while she was in the hospital. Jim Verraros was the first openly gay contestant on the show; his sexual orientation was revealed on his blog, however it was removed during the competition after a request from the show producers over concerns that it might be unfairly influencing votes. The final showdown was between Justin Guarini, one of the early favorites, and Kelly Clarkson. Clarkson was not initially thought of as a contender, but impressed the judges with some good performances in the final rounds, such as her performance of Aretha Franklin's "Natural Woman", and Betty Hutton's "Stuff Like That There", and eventually won the crown on September 4, 2002. In what was to become a tradition, Clarkson performed the coronation song during the finale, and released the song immediately after the season ended. The single, "A Moment Like This", went on to break a 38-year-old record held by The Beatles for the biggest leap to number one on the Billboard Hot 100. Guarini did not release any song immediately after the show and remains the only runner-up not to do so. Both Clarkson and Guarini made a musical film, From Justin to Kelly, which was released in 2003 but was widely panned. Clarkson has since become the most successful Idol contestant internationally, with worldwide album sales of more than 23 million. Starting September 30, 2006, this season was repackaged as "American Idol Rewind" and syndicated directly to stations in the U.S. Following the success of the first season, the second season was moved up to air in January 2003. The number of episodes increased, as did the show's budget and the charge for commercial spots. Dunkleman left the show, leaving Seacrest as the lone host. Kristin Adams was a correspondent for this season. Corey Clark was disqualified during the finals for having an undisclosed police record; however, he later alleged that he and Paula Abdul had an affair while on the show and that this contributed to his expulsion. Clark also claimed that Abdul gave him preferential treatment on the show due to their affair. The allegations were dismissed by Fox after an independent investigation. Two semi-finalists were also disqualified that year – Jaered Andrews for an arrest on an assault charge, and Frenchie Davis for having previously modelled for an adult website. Ruben Studdard emerged as the winner, beating Clay Aiken by a small margin. Out of a total of 24 million votes, Studdard finished just 134,000 votes ahead of Aiken. This slim margin of victory was controversial due to the large number of calls that failed to get through. In an interview prior to the fifth season, executive producer Nigel Lythgoe indicated that Aiken had led the fan voting from the wildcard week onward until the finale. Both finalists found success after the show, but Aiken out-performed Studdard's coronation song "Flying Without Wings" with his single release from the show "This Is the Night", as well as in their subsequent album releases. The fourth-place finisher Josh Gracin also enjoyed some success as a country singer. The third season premiered on January 19, 2004. One of the most talked-about contestants during the audition process was William Hung whose off-key rendition of Ricky Martin's "She Bangs" received widespread attention. His exposure on Idol landed him a record deal and surprisingly he became the third best-selling singer from that season. Much media attention on the season had been focused on the three black singers, Fantasia Barrino, LaToya London, and Jennifer Hudson, dubbed the Three Divas. All three unexpectedly landed on the bottom three on the top seven result show, with Hudson controversially eliminated. Elton John, who was one of the mentors that season, called the results of the votes "incredibly racist". The prolonged stays of John Stevens and Jasmine Trias in the finals, despite negative comments from the judges, had aroused resentment, so much so that John Stevens reportedly received a death threat, which he dismissed as a joke 'blown out of proportion'. The performance of "Summertime" by Barrino, later known simply as "Fantasia", at Top 8 was widely praised, and Simon Cowell considered it as his favorite Idol moment in the nine seasons he was on the show. Fantasia and Diana DeGarmo were the last two finalists, and Fantasia was crowned as the winner. Fantasia released as her coronation single "I Believe", a song co-written by the first season finalist Tamyra Gray, and DeGarmo released "Dreams". The fourth season premiered on January 18, 2005; this was the first season of the series to be aired in high definition, although the finale of the third season was also aired in high definition. The number of those attending the auditions by now had increased to over 100,000 from the 10,000 of the first season. The age limit was raised to 28 in this season, and among those who benefited from this new rule were Constantine Maroulis and Bo Bice, the two rockers of the show. The top 12 finalists originally included Mario Vazquez, but he dropped out citing 'personal reasons' and was replaced by Nikko Smith. Later, an employee of Freemantle Media, which produces the show, sued the company for wrongful termination, claiming that he was dismissed after complaining about lewd behavior by Vazquez toward him during the show. During the top 11 week, due to a mix-up with the contestants' telephone number, voting was repeated on what was normally the result night, with the result reveal postponed until the following night. In May 2005, Carrie Underwood was announced the winner, with Bice the runner-up. Both Underwood and Bice released the coronation song "Inside Your Heaven", with Underwood's version of the song making her the first country artist ever to debut at number-one on the Billboard Hot 100 chart. As of 2015, Underwood has become the most successful Idol contestant in the U.S., selling 16 million albums in the country, while selling a total of 65 million records worldwide. The fifth season began on January 17, 2006. It remains the highest-rated season in the show's run so far. Two of the more prominent contestants during the Hollywood round were the Brittenum twins who were later disqualified for identity theft. Chris Daughtry's performance of Fuel's "Hemorrhage (In My Hands)" on the show was widely praised and led to an invitation to join the band as Fuel's new lead singer, an invitation he declined. His performance of Live's version of "I Walk the Line" was well received by the judges but later criticized in some quarters for not crediting the arrangement to Live. He was eliminated at the top four in a shocking result. On May 30, 2006, Taylor Hicks was named American Idol, with Katharine McPhee the runner-up. "Do I Make You Proud" was released as Hicks' first single and McPhee's was "My Destiny". Despite being eliminated earlier in the season, Chris Daughtry (as lead of the band Daughtry) became the most successful recording artist from this season. Other contestants, such as Hicks, McPhee, Bucky Covington, Mandisa, Kellie Pickler, and Elliott Yamin have had varying levels of success. The sixth season began on Tuesday, January 16, 2007. The premiere drew a massive audience of 37.3 million viewers, peaking in the last half hour with more than 41 million viewers. Teenager Sanjaya Malakar was the season's most talked-about contestant for his unusual hairdo, and for managing to survive elimination for many weeks due in part to the weblog Vote for the Worst and satellite radio personality Howard Stern, who both encouraged fans to vote for him. However, on the Top 7 results, Sanjaya was voted off. This season saw the first Idol Gives Back telethon-inspired event, which raised more than $76 million in corporate and viewer donations. No contestant was eliminated that week, but two (Phil Stacey and Chris Richardson) were eliminated the next. In the May 23 season finale, Jordin Sparks was declared the winner with the runner-up being Blake Lewis. Sparks has had some success as a recording artist post-Idol. This season also saw the launch of the American Idol Songwriter contest which allows fans to vote for the "coronation song". Thousands of recordings of original songs were submitted by songwriters, and 20 entries selected for the public vote. The winning song, "This Is My Now", was performed by both finalists during the finale and released by Sparks on May 24, 2007. The seventh season premiered on January 15, 2008, for a two-day, four-hour premiere. The media focused on the professional status of the seventh season contestants, the so-called 'ringers', many of whom, including Kristy Lee Cook, Brooke White, Michael Johns, and in particular Carly Smithson, had prior recording contracts. Contestant David Hernandez also attracted some attention due to his past employment as a stripper. For the finals, American Idol debuted a new state-of-the-art set and stage on March 11, 2008, along with a new on-air look. David Cook's performance of "Billie Jean" on top-ten night was lauded by the judges, but provoked controversy when they apparently mistook the Chris Cornell arrangement to be David Cook's own even though the performance was introduced as Cornell's version. Cornell himself said he was 'flattered' and praised David Cook's performance. David Cook was taken to the hospital after the top-nine performance show due to heart palpitations and high blood pressure. David Archuleta's performance of John Lennon's "Imagine" was considered by many as one of the best of the season. Jennifer Lopez, who was brought in as a judge in the tenth season, called it a beautiful song-moment that she will never forget. Jason Castro's semi-final performance of "Hallelujah" also received considerable attention, and it propelled Jeff Buckley's version of the song to the top of the Billboard digital song chart. This was the first season in which contestants' recordings were released onto iTunes after their performances, and although sales information was not released so as not to prejudice the contest, leaked information indicated that contestants' songs frequently reached the top of iTunes sales charts. Idol Gives Back returned on April 9, 2008, and raised $64 million for charity. The finalists were Cook and Archuleta. David Cook was announced the winner on May 21, 2008, the first rocker to win the show. Both Cook and Archuleta had some success as recording artists with both selling over a million albums in the U.S. The American Idol Songwriter contest was also held this season. From ten of the most popular submissions, each of the final two contestants chose a song to perform, although neither of their selections was used as the "coronation song". The winning song, "The Time of My Life", was recorded by David Cook and released on May 22, 2008. The eighth season premiered on January 13, 2009. Mike Darnell, the president of alternative programming for Fox, stated that the season would focus more on the contestants' personal life. In the first major change to the judging panel, a fourth judge, Kara DioGuardi, was introduced. This was also the first season without executive producer Nigel Lythgoe who left to focus on the international versions of his show So You Think You Can Dance. The Hollywood round was moved to the Kodak Theatre for 2009 and was also extended to two weeks. Idol Gives Back was canceled for this season due to the global recession at the time. There were 13 finalists this season, but two were eliminated in the first result show of the finals. A new feature introduced was the "Judges' Save", and Matt Giraud was saved from elimination at the top seven by the judges when he received the fewest votes. The next week, Lil Rounds and Anoop Desai were eliminated. The two finalists were Kris Allen and Adam Lambert, both of whom had previously landed in the bottom three at the top five. Allen won the contest in the most controversial voting result since the second season. It was claimed, and then later retracted, that 38 million of the 100 million votes cast on the night came from Allen's home state of Arkansas alone, and that AT&T employees unfairly influenced the votes by giving lessons on power-texting at viewing parties in Arkansas. Both Allen and Lambert released the coronation song, "No Boundaries" which was co-written by DioGuardi. This is the first season in which the winner failed to achieve gold album status. The ninth season premiered on January 12, 2010. The upheaval at the judging panel continued. Ellen DeGeneres joined as a judge to replace Paula Abdul at the start of Hollywood Week. One of the most prominent auditioners this season was General Larry Platt whose performance of "Pants on the Ground" became a viral hit song. Crystal Bowersox, who has Type-I diabetes, fell ill due to diabetic ketoacidosis on the morning of the girls performance night for the top 20 week and was hospitalized. The schedule was rearranged so the boys performed first and she could perform the following night instead; she later revealed that Ken Warwick, the show producer, wanted to disqualify her but she begged to be allowed to stay on the show. Michael Lynche was the lowest vote getter at top nine and was given the Judges' Save. The next week Katie Stevens and Andrew Garcia were eliminated. That week, Adam Lambert was invited back to be a mentor, the first Idol alum to do so. Idol Gives Back returned this season on April 21, 2010, and raised $45 million. A special tribute to Simon Cowell was presented in the finale for his final season with the show. Many figures from the show's past, including Paula Abdul, made an appearance. The final two contestants were Lee DeWyze and Bowersox. DeWyze was declared the winner during the May 26 finale. No new song was used as coronation song this year; instead, the two finalists each released a cover song – DeWyze chose U2's "Beautiful Day", and Bowersox chose Patty Griffin's "Up to the Mountain". This is the first season where neither finalist achieved significant album sales. The tenth season of the series premiered on January 19, 2011. Many changes were introduced this season, from the format to the personnel of the show. Jennifer Lopez and Steven Tyler joined Randy Jackson as judges following the departures of Simon Cowell (who left to launch the U.S. version of The X Factor), Kara DioGuardi (whose contract was not renewed) and Ellen DeGeneres, while Nigel Lythgoe returned as executive producer. Jimmy Iovine, chairman of the Interscope Geffen A&M label group, the new partner of American Idol, acted as the in-house mentor in place of weekly guest mentors, although in later episodes special guest mentors such as Beyoncé, will.i.am and Lady Gaga were brought in. The tenth season is the first to include online auditions where contestants could submit a 40-second video audition via Myspace. Karen Rodriguez was one such auditioner and reached the final rounds. One of the more prominent contestants this year was Chris Medina, whose story of caring for his brain-damaged fiancée received widespread coverage. Medina was cut in the Top 40 round. Casey Abrams, who suffers from ulcerative colitis, was hospitalized twice and missed the Top 13 result show. The judges used their one save on Abrams on the Top 11, and as a result this was the first season that 11 finalists went on tour instead of 10. In the following week, Naima Adedapo and Thia Megia were both eliminated the following week. Pia Toscano, one of the presumed favorites to advance far in the season, was unexpectedly eliminated on April 7, 2011, finishing in ninth place. Her elimination drew criticisms from some former Idol contestants, as well as actor Tom Hanks. The two finalists in 2011 were Lauren Alaina and Scotty McCreery, both teenage country singers. McCreery won the competition on May 25, being the youngest male winner and the fourth male in a row to win American Idol. McCreery released his first single, "I Love You This Big", as his coronation song, and Alaina released "Like My Mother Does". McCreery's debut album, Clear as Day, became the first debut album by an Idol winner to reach No. 1 on the US Billboard 200 since Ruben Studdard's Soulful in 2003, and he became the youngest male artist to reach No. 1 on the Billboard 200. The eleventh season premiered on January 18, 2012. One more finalist would join the Top 24 making it the Top 25, and that was Jermaine Jones. However, on March 14, Jones was disqualified in 12th place for concealing arrests and outstanding warrants. Jones denied the accusation that he concealed his arrests. Finalist Phillip Phillips suffered from kidney pain and was taken to the hospital before the Top 13 results show, and later received medical procedure to alleviate a blockage caused by kidney stones. He was reported to have eight surgeries during his Idol run, and had considered quitting the show due to the pain. He underwent surgery to remove the stones and reconstruct his kidney soon after the season had finished. Jessica Sanchez received the fewest votes during the Top 7 week, and the judges decided to use their "save" option on her, making her the first female recipient of the save. The following week, unlike previous seasons, Colton Dixon was the only contestant sent home. Sanchez later made the final two, the first season where a recipient of the save reached the finale. Phillips became the winner, beating Sanchez. Fifth season finalist Ace Young proposed marriage to third season runner-up Diana DeGarmo on stage – which she accepted. Phillips released "Home" as his coronation song, while Sanchez released "Change Nothing". Phillips' "Home" has since become the best selling of all coronation songs. The twelfth season premiered on January 16, 2013. Judges Jennifer Lopez and Steven Tyler left the show after two seasons. This season's judging panel consisted of Randy Jackson, along with Mariah Carey, Keith Urban and Nicki Minaj. This was the first season since the ninth season to have four judges on the panel. The pre-season buzz and the early episodes of the show were dominated by the feud between the judges Minaj and Carey after a video of their dispute was leaked to TMZ. The top 10 contestants started with five males and five females, however, the males were eliminated consecutively in the first five weeks, with Lazaro Arbos the last male to be eliminated. For the first time in the show's history, the top 5 contestants were all female. It was also the first time that the judges' "save" was not used, the top four contestants were therefore given an extra week to perform again with their votes carried over with no elimination in the first week. 23-year-old Candice Glover won the season with Kree Harrison taking the runner-up spot. Glover is the first female to win American Idol since Jordin Sparks. Glover released "I Am Beautiful" as a single while Harrison released "All Cried Out" immediately after the show. Glover sold poorly with her debut album, and this is also the first season that the runner-up was not signed by a music label. Towards the end of the season, Randy Jackson, the last remaining of the original judges, would no longer serve as a judge to pursue other business ventures. Both judges Mariah Carey and Nicki Minaj also decided to leave after one season to focus on their music careers. The thirteenth season premiered on January 15, 2014. Randy Jackson and Keith Urban returned, though Jackson moved from the judging panel to the role of in-mentor. Mariah Carey and Nicki Minaj left the panel after one season. Former judge Jennifer Lopez and former mentor Harry Connick, Jr. joined Urban on the panel. Also, Nigel Lythgoe and Ken Warwick were replaced as executive producers by Per Blankens, Jesse Ignjatovic and Evan Pragger. Bill DeRonde replaced Warwick as a director of the audition episodes, while Louis J. Horvitz replaced Gregg Gelfand as a director of the show. This was the first season where the contestants were permitted to perform in the final rounds songs they wrote themselves. In the Top 8, Sam Woolf received the fewest votes, but he was saved from elimination by the judges. The 500th episode of the series was the Top 3 performance night. Caleb Johnson was named the winner of the season, with Jena Irene as the runner-up. Johnson released "As Long as You Love Me" as his coronation single while Irene released "We Are One". The fourteenth season premiered on January 7, 2015. Jennifer Lopez, Keith Urban and Harry Connick, Jr. returned for their respective fourth, third and second seasons as judges. Eighth season runner-up Adam Lambert filled in for Urban during the New York City auditions. Randy Jackson did not return as the in-house mentor for this season. Scott Borchetta replaced Jackson as the mentor. Changes this season include only airing one episode a week during the final ten. Coca-Cola ended their longtime sponsorship of the show and Ford Motor Company maintained a reduced role. The winner of the season also received a recording contract with Big Machine Records. 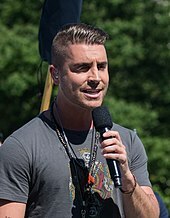 Nick Fradiani won the season, defeating Clark Beckham. By winning, Fradiani became the first winner from the Northeast region. Fradiani released "Beautiful Life" as his coronation single while Beckham released "Champion". Jax, the third place finalist, also released a single called "Forcefield". Fox announced on May 11, 2015 that the fifteenth season would be the final season of American Idol; as such, the season was expected to have an additional focus on the program's alumni. Ryan Seacrest returned as host, with Harry Connick Jr., Keith Urban, and Jennifer Lopez all returning as judges. The season was shortened by four weeks compared to previous years. During the finale episode, President Barack Obama praised the millions of young people that voted for contestants and pitched that they vote in the upcoming election. The farewell season concluded on April 7, 2016. Seacrest signed off by saying: "And one more time—this is so tough—we say to you from Hollywood, goodnight America", and then he added, "for now." Trent Harmon won the season against runner-up La'Porsha Renae. Harmon released "Falling" co-written by Keith Urban as his coronation song. Renae's "Battles", third-place finisher Dalton Rapattoni's "Strike A Match" and fourth-place finisher MacKenzie Bourg's "Roses" were also released as singles. In early 2017, Variety reported that Fremantle Media was in talks to revive the show for NBC or for its original network, Fox. A dispute between Fremantle and Core Media Group derailed these plans. In May 2017, ABC was making a bid to revive the program. ABC acquired the rights to the series, and American Idol returned for the 2017–18 television season. Katy Perry, Luke Bryan and Lionel Richie were the three judges and Ryan Seacrest returned as host. The revival season premiered on March 11, 2018. On May 21, 2018 the season concluded, crowning Maddie Poppe winner and Caleb Lee Hutchinson runner-up. ABC renewed the revival series for another season. Perry, Bryan and Richie returned as judges, while Seacrest returned as host. Seasonal rankings (based on average total viewers per episode) of American Idol. It holds the distinction of having the longest winning streak in the Nielsen annual television ratings; it became the highest-rated of all television programs in the United States overall for an unprecedented seven consecutive years, or eight consecutive (and total) years when either its performance or result show was ranked number one overall. Each U.S. network television season starts in late September and ends in late May, which coincides with the completion of May sweeps. American Idol premiered in June 2002 and became the surprise summer hit show of 2002. The first show drew 9.9 million viewers, giving Fox the best viewing figure for the 8.30 pm spot in over a year. The audience steadily grew, and by finale night, the audience had averaged 23 million, with more than 40 million watching some part of that show. That episode was placed third amongst all age groups, but more importantly it led in the in 18–49 demographic, the age group most valued by advertisers. The growth continued into the next season, starting with a season premiere of 26.5 million. The season attracted an average of 21.7 million viewers, and was placed second overall amongst the 18–49 age group. The finale night when Ruben Studdard won over Clay Aiken was also the highest-rated ever American Idol episode at 38.1 million for the final hour. By the third season, the show had become the top show in the 18–49 demographic a position it has held for all subsequent years up to and including the tenth season, and its competition stages ranked first in the nationwide overall ratings. By the fourth season, American Idol had become the most watched series amongst all viewers on American TV for the first time, with an average viewership of 26.8 million. The show reached its peak in the fifth season with numbers averaging 30.6 million per episode, and this season remains the highest-rated of the series. The sixth season premiered with the series' highest-rated debut episode and a few of its succeeding episodes rank among the most watched episodes of American Idol. During this time, many television executives begun to regard the show as a programming force unlike any seen before, as its consistent dominance of up to two hours two or three nights a week exceeded the 30- or 60-minute reach of previous hits such as NBC's The Cosby Show. The show was dubbed "the Death Star", and competing networks often rearranged their schedules in order to minimize losses. However, the sixth season also showed a steady decline in viewership over the course of the season. The season finale saw a drop in ratings of 16% from the previous year. The sixth season was the first season wherein the average results show rated higher than the competition stages (unlike in the previous seasons), and became the second-highest-rated of the series after the preceding season. The loss of viewers continued into the seventh season. The premiere was down 11% among total viewers, and the results show in which Kristy Lee Cook was eliminated delivered its lowest-rated Wednesday show among the 18–34 demo since the first season in 2002. However, the ratings rebounded for the seventh-season finale with the excitement over the battle of the Davids, and improved over the sixth season as the series' third most watched finale. The strong finish of season seven also helped Fox become the most watched TV network in the country for the first time since its inception, a first ever in American television history for a non-Big Three major broadcast network. Overall ratings for the season were down 10% from the sixth season, which is in line with the fall in viewership across all networks due in part to the 2007–2008 Writers Guild of America strike. The declining trend however continued into the eighth season, as total viewers numbers fell by 5–10% for early episodes compared to the seventh season, and by 9% for the finale. In the ninth season, Idol's six-year extended streak of perfection in the ratings was broken, when NBC's coverage of the 2010 Winter Olympics on February 17 beat Idol in the same time slot with 30.1 million viewers over Idol's 18.4 million. Nevertheless, American Idol overall finished its ninth season as the most watched TV series for the sixth year running, breaking the previous record of five consecutive seasons achieved by CBS' All in the Family and NBC's The Cosby Show. In the tenth season, the total viewer numbers for the first week of shows fell 12–13%, and by up to 23% in the 18–49 demo compared to the ninth season. Later episodes, however, retained viewers better, and the season ended on a high with a significant increase in viewership for the finale – up 12% for the adults 18–49 demographic and a 21% increase in total viewers from the ninth season finale. While the overall viewer number has increased this season, its viewer demographics have continued to age year on year – the median age this season was 47.2 compared to a median age of 32.1 in its first season. The demographics also became "whiter" over time and less diverse. Nevertheless, in the 2010–11 television season, Fox maintained its lead on over other networks with its seventh consecutive season of victory overall in the 18–49 demographic ratings in the United States. The eleventh season, however, suffered a steep drop in ratings, a drop attributed by some to the arrival of new shows such as The Voice and The X Factor. The ratings for the first two episodes of the eleventh season fell 16–21% in overall viewer numbers and 24–27% in the 18/49 demo, while the season finale fell 27% in total viewer number and 30% in the 18–49 demo. The average viewership for the season fell below 20 million viewers the first time since 2003, a drop of 23% in total viewers and 30% in the 18/49 demo. For the first time in eight years, American Idol lost the leading position in both the total viewers number and the 18/49 demo, coming in second to NBC Sunday Night Football, although the strengths of Idol in its second year in the Wednesday-Thursday primetime slots helped Fox achieve the longest period of 18–49 demographic victory in the Nielsen ratings, standing at 8 straight years from 2004 to 2012. The loss of viewers continued into the twelfth season, which saw the show hitting a number of series low in the 18–49 demo. The finale had 7.2 million fewer viewers than the previous season, and saw a drop of 44% in the 18–49 demo. The season viewers averaged at 13.3 million, a drop of 24% from the previous season. The thirteenth season suffered a huge decline in the 18–49 demographic, a drop of 28% from the twelfth season, and American Idol lost its Top 10 position in the Nielsen ratings by the end of the 2013–14 television season for the first time since its entry to the rankings in 2003 as a result, and never regained its Top 10 position by the series' end in 2016. The continuing decline influenced further changes for the fourteenth season, including the loss of Coca-Cola as the show's major sponsor, and a decision to only broadcast one, two-hour show per week during the top 12 rounds (with results from the previous week integrated into the performance show, rather than having a separate results show). On May 11, 2015, prior to the fourteenth-season finale, Fox announced that the fifteenth season of American Idol would be its last. Despite these changes, the show's ratings would decline more sharply. The fourteenth-season finale was the lowest-rated finale ever, with an average of only 8.03 million viewers watching the finale. The show's ratings, however, rebounded in its final season, and ended its run in 2016 as Fox's first ever program to conclude its run without dropping from the Nielsen Top 30 most watched television shows in each of its seasons. Early reviews were mixed in their assessment. Ken Tucker of Entertainment Weekly considered that "As TV, American Idol is crazily entertaining; as music, it's dust-mote inconsequential". Others, however, thought that "the most striking aspect of the series was the genuine talent it revealed". It was also described as a "sadistic musical bake-off", and "a romp in humiliation". Other aspects of the show have attracted criticisms. The product placement in the show in particular was noted, and some critics were harsh about what they perceived as its blatant commercial calculations – Karla Peterson of The San Diego Union-Tribune charged that American Idol is "a conniving multimedia monster" that has "absorbed the sin of our debauched culture and spit them out in a lump of reconstituted evil". The decision to send the first season winner to sing the national anthem at the Lincoln Memorial on the first anniversary of the September 11 attacks in 2002 was also poorly received by many. Lisa de Moraes of The Washington Post noted sarcastically that "The terrorists have won" and, with a sideswipe at the show's commercialism and voting process, that the decision as to who "gets to turn this important site into just another cog in the 'Great American Idol Marketing Mandala' is in the hands of the millions of girls who have made American Idol a hit. Them and a handful of phone-redialer geeks who have been clocking up to 10,000 calls each week for their contestant of choice (but who, according to Fox, are in absolutely no way skewing the outcome)." Some of the later writers about the show were more positive, Michael Slezak, again of Entertainment Weekly, thought that "for all its bloated, synthetic, product-shilling, money-making trappings, Idol provides a once-a-year chance for the average American to combat the evils of today's music business." Singer Sheryl Crow, who was later to act as a mentor on the show, however took the view that the show "undermines art in every way and promotes commercialism". Pop music critic Ann Powers nevertheless suggested that Idol has "reshaped the American songbook", "led us toward a new way of viewing ourselves in relationship to mainstream popular culture", and connects "the classic Hollywood dream to the multicentered popular culture of the future." Others focused on the personalities in the show; Ramin Setoodeh of Newsweek accused judge Simon Cowell's cruel critiques in the show of helping to establish in the wider world a culture of meanness, that "Simon Cowell has dragged the rest of us in the mud with him." Some such as singer John Mayer disparaged the contestants, suggesting that those who appeared on Idol are not real artists with self-respect. Some in the entertainment industry were critical of the star-making aspect of the show. Usher, a mentor on the show, bemoaning the loss of the "true art form of music", thought that shows like American Idol made it seem "so easy that everyone can do it, and that it can happen overnight", and that "television is a lie". Musician Michael Feinstein, while acknowledging that the show had uncovered promising performers, said that American Idol "isn't really about music. It's about all the bad aspects of the music business – the arrogance of commerce, this sense of 'I know what will make this person a star; artists themselves don't know.' " That American Idol is seen to be a fast track to success for its contestants has been a cause of resentment for some in the industry. LeAnn Rimes, commenting on Carrie Underwood winning Best Female Artist in Country Music Awards over Faith Hill in 2006, said that "Carrie has not paid her dues long enough to fully deserve that award". It is a common theme that has been echoed by many others. Elton John, who had appeared as a mentor in the show but turned down an offer to be a judge on American Idol, commenting on talent shows in general, said that "there have been some good acts but the only way to sustain a career is to pay your dues in small clubs". American Idol revolutionized American pop culture and the pop idol process and has provided an opportunity for many to bypass the small club scene and allow a much larger audience to participate in and select the next potential chart topping performer. The success of the show's alumni, however, has led to a more positive assessment of the show, and the show was described as having "proven it has a valid way to pick talent and a proven way to sell records". While the industry is divided on the show success, its impact is felt particularly strongly in the country music format. According to a CMT exec, reflecting on the success of Idol alumni in the country genre, "if you want to try and get famous fast by going to a cattle call audition on TV, Idol reasonably remains the first choice for anyone", and that country music and Idol "go together well". American Idol was nominated for the Emmy's Outstanding Reality Competition Program for nine years but never won. Director Bruce Gower won a Primetime Emmy Award for Outstanding Directing For A Variety, Music Or Comedy Series in 2009, and the show won a Creative Arts Emmys each in 2007 and 2008, three in 2009, and two in 2011, as well as a Governor's Award in 2007 for its Idol Gives Back edition. It won the People's Choice Award, which honors the popular culture of the previous year as voted by the public, for favorite competition/reality show in 2005, 2006, 2007, 2010, 2011 and 2012. It won the first Critics' Choice Television Award in 2011 for Best Reality Competition. In 2013, TV Guide ranked the series No. 48 on its list of the 60 Best Series of All Time. Throughout the series, eleven of the sixteen Idol winners, including its first five, had come from the Southern United States. A large number of other finalists during the series' run have also hailed from the American South, including Clay Aiken, Kellie Pickler, and Chris Daughtry, who are all from North Carolina. In 2012, an analysis of the 131 contestants who have appeared in the finals of all seasons of the show up to that point found that 48% have some connection to the Southern United States. The show itself was popular in the Southern United States, with households in the Southeastern United States 10% more likely to watch American Idol during the eighth season in 2009, and those in the East Central region, such as Kentucky, were 16 percent more likely to tune into the series. Data from Nielsen SoundScan, a music-sales tracking service, showed that of the 47 million CDs sold by Idol contestants through January 2010, 85 percent were by contestants with ties to the American South. Theories given for the success of Southerners on Idol have been: more versatility with musical genres, as the Southern U.S. is home to several music genre scenes; not having as many opportunities to break into the pop music business; text-voting due to the South having the highest percentage of cell-phone only households; and the strong heritage of music and singing, which is notable in the Bible Belt, where it is in church that many people get their start in public singing. Others also suggest that the Southern character of these contestants appeal to the South, as well as local pride. According to fifth season winner Taylor Hicks, who is from the state of Alabama, "People in the South have a lot of pride ... So, they're adamant about supporting the contestants who do well from their state or region." For five consecutive seasons, starting in the seventh season, the title was given to a white male who plays the guitar – a trend that Idol pundits call the "White guy with guitar" or "WGWG" factor. Just hours before the eleventh-season finale, where Phillip Phillips was named the winner, Richard Rushfield, author of the book American Idol: The Untold Story, said, "You have this alliance between young girls and grandmas and they see it, not necessarily as a contest to create a pop star competing on the contemporary radio, but as .... who's the nicest guy in a popularity contest", he says, "And that has led to this dynasty of four, and possibly now five, consecutive, affable, very nice, good-looking white boys." The show had been criticized in earlier seasons over the onerous contract contestants had to sign that gave excessive control to 19 Entertainment over their future career, and handed a large part of their future earnings to the management. Individual contestants have generated controversy in this competition for their past actions, or for being 'ringers' planted by the producers. A number of contestants had been disqualified for various reasons, such as for having an existing contract or undisclosed criminal records, although the show had been accused of double standard for disqualifying some but not others. Voting results have been a consistent source of controversy. The mechanism of voting had also aroused considerable criticisms, most notably in the second season when Ruben Studdard beat Clay Aiken in a close vote, and in the eighth season, when the massive increase in text votes fueled the texting controversy. Concerns about power voting have been expressed from the very first season. Since 2004, votes also have been affected to a limited degree by online communities such as DialIdol, and Vote for the Worst. The enormous success of the show and the revenue it generated was transformative for the Fox Broadcasting Company. American Idol and fellow competing shows Survivor and Who Wants to Be a Millionaire were altogether credited for expanding reality television programming in the United States in the 1990s and 2000s, and Idol became the most watched non-scripted primetime television series for almost a decade, from 2003 to 2012, breaking records on U.S. television (dominated by drama shows and sitcoms in the preceding decades). The show pushed Fox to become the number one U.S. TV network amongst adults 18–49, the key demographic coveted by advertisers, for an unprecedented eight consecutive years by 2012. Its success also helped lift the ratings of other shows that were scheduled around it such as House and Bones, and Idol, for years, had become Fox's strongest platform primetime television program for promoting eventual hit shows of the 2010s (of the same network) such as Glee and New Girl. The show, its creator Simon Fuller claimed, "saved Fox". The show's massive success in the mid-2000s to early 2010s spawned a number of imitating singing-competition shows, such as Rock Star, Nashville Star, The Voice, Rising Star, The Sing-Off, and The X Factor. The number of imitative singing shows on American television had reached 17 by its final year in 2016. Its format also served as a blueprint for non-singing TV shows such as Dancing with the Stars and So You Think You Can Dance, most of which contribute to the current highly competitive reality TV landscape on American television. As one of the most successful shows on U.S. television history, American Idol had a strong impact not just on television, but also in the wider world of entertainment. It helped create a number of highly successful recording artists, such as Kelly Clarkson, Daughtry and Carrie Underwood, as well as others of varying notability. The alumni of the show had received between them 54 Grammy nominations and 13 Grammy awards by the end of the show in 2016, with Carrie Underwood winning seven. Various American Idol alumni had success on various record charts around the world; in the U.S. they had achieved 345 number ones on the Billboard charts in its first 10 years, and 458 by its last year of broadcast in 2016, with 100 achieved by Kelly Clarkson alone. According to Fred Bronson, author of books on the Billboard charts, no other entity has ever created as many hit-making artists and best-selling albums and singles. In 2007, American Idol alums accounted for 2.1% of all music sales. Its alumni have a massive impact on radio; in 2007, American Idol had become "a dominant force in radio" according to the president of the research company Mediabase which monitors radio stations Rich Meyer. By 2010, four winners each had more than a million radio spins, with Kelly Clarkson leading the field with over four million spins. At the end of the show's run, Idol's contestants have sold more than 60 million albums in the US, resulting in more than 80 Platinum records and 95 Gold records. Its participants have generated more than 450 Billboard No. 1 hits and sold more than 260 million digital downloads. The impact of American Idol was also strongly felt in musical theatre, where many of Idol alumni have forged successful careers. The striking effect of former American Idol contestants on Broadway has been noted and commented on. The casting of a popular Idol contestant can lead to significantly increased ticket sales. Other alumni have gone on to work in television and films, the most notable being Jennifer Hudson who, on the recommendation of the Idol vocal coach Debra Byrd, won a role in Dreamgirls and subsequently received an Academy Award for her performance. The dominance of American Idol in the ratings had made it the most profitable show in U.S. TV for many years. The show was estimated to generate $900 million for the year 2004 through sales of TV ads, albums, merchandise and concert tickets. By the seventh season, the show was estimated to earn around $900 million from its ad revenue alone, not including ancillary sponsorship deals and other income. One estimate puts the total TV revenue for the first eight seasons of American at $6.4 billion. Sponsors that bought fully integrated packages can expect a variety of promotions of their products on the show, such as product placement, adverts and product promotion integrated into the show, and various promotional opportunities. Other off-air promotional partners pay for the rights to feature "Idol" branding on their packaging, products and marketing programs. American Idol also partnered with Disney in its theme park attraction The American Idol Experience. American Idol became the most expensive series on broadcast networks for advertisers starting the fourth season, and by the next season, it had broken the record in advertising rate for a regularly scheduled prime-time network series, selling over $700,000 for a 30-seconds slot, and reaching up to $1.3 million for the finale. Its ad prices reached a peak in the seventh season at $737,000. Estimated revenue more than doubled from $404 million in the third season to $870 million in the sixth season. While that declined from the eighth season onwards, it still earned significantly more than its nearest competitor, with advertising revenue topping $800 million annually the next few seasons. However, the sharp drop in ratings in the eleventh season also resulted in a sharp drop in advertising rate for the twelfth season, and the show lost its leading position as the costliest show for advertisers. By 2014, ad revenue from had fallen to $427 million where a 30-second spot went for less than $300,000. For the relaunched Idol on ABC, it has been reported that a 30-second spot may cost between $120,000–$160,000. Ford Motor Company and Coca-Cola were two of the first sponsors of American Idol in its first season. The sponsorship deal cost around $10 million in the first season, rising to $35 million by the seventh season, and between $50 to $60 million in the tenth season. The third major sponsor AT&T Wireless joined in the second season but ended after the twelfth season, and Coca-Cola officially ended its sponsorship after the thirteenth season amidst the declining ratings of Idol in the mid-2010s. iTunes sponsored the show since the seventh season. American Idol prominent display of its sponsors' logo and products had been noted since the early seasons. By the sixth season, Idol showed 4,349 product placements according to Nielsen Media Research. The branded entertainment integration proved beneficial to its advertisers – promotion of AT&T text-messaging as a means to vote successfully introduced the technology into the wider culture, and Coca-Cola has seen its equity increased during the show. Ford – Contestants appear in the special Ford videos on the results shows, and winners Kelly Clarkson, Taylor Hicks, and Kris Allen have also appeared in commercials for Ford. The final two each won a free Ford Mustang in the fourth through sixth seasons, Ford Escape Hybrid in the seventh season, Ford Fusion Hybrid in the eighth season, Ford Fiesta in the ninth season, and 2013 Ford Fusion in the eleventh season. In the tenth season Scotty McCreery chose a Ford F-150 and Lauren Alaina chose Shelby Mustang. In the red room, there is a glass table with a Ford wheel as its base. AT&T – AT&T Mobility is promoted as the service provider for text-voting. AT&T created an ad campaign that centered on an air-headed teenager going around telling people to vote. Apple iTunes – Ryan Seacrest announces the availability of contestants' performances exclusively via iTunes. Videos are regularly shown of contestants learning their songs by rehearsing with iPods. Previous sponsors include Old Navy and Clairol's Herbal Essences. In the second and third seasons, contestants sometimes donned Old Navy clothing for their performances with celebrity stylist Steven Cojocaru assisting with their wardrobe selection, and contestants received Clairol-guided hair makeovers. In the seventh-season finale, both David Cook and David Archuleta appeared in "Risky Business"-inspired commercials for Guitar Hero, a sponsor of the tour that year. Coca-Cola's archrival PepsiCo declined to sponsor American Idol at the show's start. What the Los Angeles Times later called "missing one of the biggest marketing opportunities in a generation" contributed to Pepsi losing market share, by 2010 falling to third place from second in the United States. PepsiCo sponsored the American version of Cowell's The X Factor in hopes of not repeating its Idol mistake until its cancellation. For the revived series on ABC, Macy's and Johnson & Johnson's Zyrtec signed on as the major sponsors of the show. The top ten (eleven in the tenth season, five in the fourteenth season, and seven in the sixteenth season) toured at the end of every season except for the fifteenth season. In the twelfth season tour a semi-finalist who won a sing-off was also added to the tour. Kellogg's Pop-Tarts was the sponsor for the first seven seasons, and Guitar Hero was added for the seventh season tour. M&M's Pretzel Chocolate Candies was a sponsor of the ninth season tour. The fifth season tour was the most successful tour with gross of over $35 million. However no concert tour was organized in the fifteenth season, the only season not to have an associated tour. The sixteenth season tour featured the band In Real Life as an opener on select dates. Idol Gives Back was a special charity event started in season six featuring performances by celebrities and various fund-raising initiatives. This event was also held in seasons seven and nine and has raised nearly $185 million in total. American Idol has traditionally released studio recordings of contestants' performances as well as the winner's coronation single for sale. For the first five seasons, the recordings were released as a compilation album at the end of the season. All five of these albums reached the top ten in Billboard 200 which made then American Idol the most successful soundtrack franchise of any motion picture or television program. Starting late in the fifth season, individual performances were released during the season as digital downloads, initially from the American Idol official website only. In the seventh season the live performances and studio recordings were made available during the season from iTunes when it joined as a sponsor. In the tenth season the weekly studio recordings were also released as compilation digital album straight after performance night. 19 Recordings, a recording label owned by 19 Entertainment, currently hold the rights to phonographic material recorded by all the contestants. 19 originally partnered with Bertelsmann Music Group (BMG) to promote and distribute the recordings through its labels RCA Records, Arista Records, J Records, Jive Records. In 2005–2007, BMG partnered with Sony Music Entertainment to form a joint venture known as Sony BMG Music Entertainment. From 2008 to 2010, Sony Music handled the distribution following their acquisition of BMG. Sony Music was partnered with American Idol and distribute its music, and In 2010, Sony was replaced by as the music label for American Idol by UMG's Interscope-Geffen-A&M Records. On February 14, 2009, The Walt Disney Company debuted "The American Idol Experience" at its Disney's Hollywood Studios theme park at the Walt Disney World Resort in Florida. In this live production, co-produced by 19 Entertainment, park guests chose from a list of songs and auditioned privately for Disney cast members. Those selected then performed on a stage in a 1000-seat theater replicating the Idol set. Three judges, whose mannerisms and style mimicked those of the real Idol judges, critiqued the performances. Audience members then voted for their favorite performer. There were several preliminary-round shows during the day that culminated in a "finals" show in the evening where one of the winners of the previous rounds that day was selected as the overall winner. The winner of the finals show received a "Dream Ticket" that granted them front-of-the-line privileges at any future American Idol audition. The attraction closed on August 30, 2014. American Idol is broadcast to over 100 nations worldwide. In most nations these are not live broadcasts and may be tape delayed by several days or weeks, except for other season finales that are aired live in several countries simulcast with the U.S. broadcast on Fox (2002–2016) and ABC (since 2018). In Canada, the first thirteen seasons of American Idol were aired live countrywide by CTV and/or CTV Two, in simulcast with Fox. CTV dropped Idol after its thirteenth season and in August 2014, Yes TV announced that it had picked up Canadian rights to American Idol beginning in its 2015 season. In 2017, it was announced the show would return to CTV Two for its sixteenth season. In Latin America, the show is broadcast and subtitled by Sony Entertainment Television. In Southeast Asia, it is broadcast by Sony Channel every Monday and Tuesday nine or ten hours after since its revival. In Philippines, it is aired every Thursday and Friday nine or ten hours after its United States telecast; from 2004 to 2007 on ABC 5; 2008–11 on QTV, then GMA News TV; and since 2012 on ETC. In Australia, it aired a few hours after the U.S. telecast. It was aired on Network Ten from 2002 to 2008 and then again in 2013. Between 2008 and 2012 it aired on Fox8 and the thirteenth and fourteenth seasons (2014–15) it aired on digital channel, Eleven, a sister channel to Network Ten. Its final season (2016) aired on Fox8 hours after the original U.S. broadcast. The show enjoyed a lot of popularity in Australia throughout the 2000s before declining in the ratings. In the United Kingdom, episodes were aired one day after the U.S. broadcast on digital channel ITV2. In the twelfth season, the episodes aired on 5*. It was also aired in Ireland on TV3 two days after the telecast. In Brazil and Israel, the show airs two days after its original broadcast, and broadcast live during the season finale. In the instances where the airing is delayed, the shows may sometimes be combined into one episode to summarize the results. In Italy, the twelfth season was broadcast by La3. ^ Doris Baltruschat (2010). Global Media Ecologies: Networked Production in Film and Television. Routledge. p. 106. ISBN 978-0415874786. ^ a b c d Carter, Bill (February 20, 2007). "For Fox's Rivals, 'American Idol' Remains a 'Schoolyard Bully'". The New York Times. Archived from the original on April 16, 2009. Retrieved March 13, 2008. ^ a b "Ten Years of 'American Idol' Chart Dominance: Clarkson, Underwood, Daughtry, Fantasia, More". Billboard. June 11, 2012. Retrieved September 4, 2012. ^ a b "Full 2010–11 Ratings: CBS Tops Viewership, Fox Is No. 1 in Demo and Idol Remains Most-Watched". TV Guide. June 1, 2011. Retrieved February 11, 2013. ^ Stephen Armstrong (January 11, 2010). "Nice work for Nasty Nigel Lythgoe". The Guardian. UK. Retrieved February 24, 2011. ^ Fuller, Simon (May 20, 2011). "Simon Fuller on how 'Idol' began". Variety. Retrieved August 6, 2011. ^ "Pop Idol audience reaches 10 million". BBC News. January 28, 2002. Retrieved February 24, 2011. ^ a b c Bill Carter (April 30, 2006). "How a Hit Almost Failed Its Own Audition". The New York Times. ^ "The Masked Scheduler on 'American Idol,' part 1: The origin story". TV by the Number. March 5, 2018. ^ "US starts Pop Idol search". BBC News. April 29, 2002. ^ "The Masked Scheduler on 'American Idol,' part 2: Managing a megahit". TV by the Numbers. March 6, 2018. ^ "5 reasons 'American Idol' may go on nearly forever—or not". USA Today. January 17, 2012. Retrieved June 2, 2012. ^ "The Masked Scheduler on 'American Idol,' part 4: The decline and end of the FOX run". TV by the Numbers. March 9, 2018. ^ a b c Andreeva, Nellie (May 11, 2015). "American Idol Renewed For Final Season". Deadline Hollywood. United States: Penske Media Corporation. Retrieved May 11, 2015. ^ Hibberd, James (May 9, 2017). "ABC officially revives American Idol, chides Fox for canceling". Entertainment Weekly. Retrieved May 9, 2017. ^ Nellie Andreeva and Nancy Tartaglione (May 9, 2017). "'American Idol' Return Set On ABC For 2017-18 Season". Deadline Hollywood. Retrieved May 9, 2017. ^ "Stryker Strikes Out: The Man Who Was Supposed To Be The Fourth 'Idol' Judge". New.music.yahoo.com. January 12, 2011. Archived from the original on January 20, 2011. Retrieved February 24, 2011. ^ Susman, Gary (October 31, 2002). "Sitting 'Idol' | TV". Entertainment Weekly. Retrieved February 24, 2011. ^ Slezak, Michael (September 3, 2010). "Sep 3 Kara DioGuardi not returning to 'American Idol': It's (finally) official". Entertainment Weekly. Retrieved February 24, 2011. ^ Weisman, Jon (August 4, 2009). "Abdul ends her 'Idol' era". Variety. ^ Collins, Scott (July 30, 2010). "Ellen DeGeneres is out as 'American Idol' judge". Los Angeles Times. Archived from the original on August 1, 2010. Retrieved July 30, 2010. ^ "Simon Cowell to leave American Idol". BBC News. January 12, 2010. Retrieved March 31, 2010. ^ a b c Kaufman, Gil (September 22, 2010). "'American Idol' Adds Jennifer Lopez, Steven Tyler As Judges". Mtv. Retrieved February 24, 2011. ^ "Steven Tyler's 'Idol' Departure Influenced Jennifer Lopez's Own Exit". Rolling Stone. July 17, 2012. Retrieved July 25, 2012. ^ "'American Idol' announces judges: Keith Urban, Nicki Minaj confirmed". Entertainment Weekly. September 16, 2012. Retrieved September 17, 2012. ^ a b Douglas Hyde and Greg Botelhon (May 31, 2013). "'American Idol' to get makeover with exits of Mariah Carey, Nicki Minaj". CNN. ^ a b Marc Malkin (May 9, 2013). "Randy Jackson: I'm Leaving American Idol". E Online. ^ a b James Hibberd (June 24, 2014). "'American Idol': ALL the judges returning for season 14". Entertainment Weekly. ^ a b "'American Idol' Renewed For Final Season". Deadline Hollywood. Retrieved May 11, 2015. ^ a b Melas, Chloe (May 16, 2017). "Katy Perry is your next American Idol judge". United States: CNN. Archived from the original on May 16, 2017. Retrieved May 16, 2017. ^ a b "Luke Bryan to Become New 'American Idol' Judge". Rolling Stone. September 26, 2017. ^ a b "Lionel Richie and Luke Bryan to join American Idol as judges". Entertainment Weekly. September 29, 2017. ^ Potts, Kim. "'American Idol: The Untold Story' Book Author Richard Rushfield Talks Past 'Idol' Scandals, Backstage Divas and Season 10". TV Squad. Retrieved January 18, 2010. ^ Bacle, Ariana. "Ryan Seacrest returns to American Idol for ABC reboot". Entertainment Weekly. Retrieved July 20, 2017. ^ "American Idol 10 Audition Rules" (PDF). Archived from the original (PDF) on July 7, 2011. Retrieved February 24, 2011. ^ a b "Season 4 rules". Web.archive.org. April 22, 2006. Archived from the original on April 22, 2006. Retrieved August 6, 2011. ^ "Secret Rituals of American Idol Auditions Exposed". Thedailybeast.com. January 19, 2010. Retrieved February 24, 2011. ^ "American Idol FAQS". Americanidol.com. Archived from the original on February 22, 2011. Retrieved February 24, 2011. ^ a b "AT&T Wireless and American Idol Set Global Records in Text Messaging; AT&T Wireless". Business Wire. June 4, 2003. ^ a b "AT&T Announces the Eighth Season of 'American Idol' Smashes All-Time Record for Fan Engagement through Text Messaging". Att.com. May 22, 2009. Retrieved February 24, 2011. ^ "Harvesting cash from American Idol TV votes". Evening Standard. London. July 15, 2010. Archived from the original on March 3, 2011. Retrieved February 24, 2011. ^ Maxine Shen (May 1, 2009). "Adam Really Was in the Bottom 3". New York Post. ^ "'Idol' Contestants – No Shtupping the Judges". Tmz.com. May 13, 2010. Retrieved February 24, 2011. ^ a b Wyatt, Edward (February 23, 2010). "Idol' Winners: Not Just Fame but Big Bucks". The New York Times. ^ Anthony McCartney (May 25, 2012). "New 'American Idol' contract allows for lower payouts, no album guarantees for runners-up". The Washington Post. Associated Press. Retrieved May 25, 2012. ^ "The cost of being on 'American Idol'". Bankrate.com. Retrieved August 6, 2011. ^ "Christina Christian Voted Off 'American Idol' While Hospitalized". Popdirt.com. August 8, 2002. Retrieved February 24, 2011. ^ Teen Idol's Dream. The Advocate. January 21, 2003. Retrieved February 24, 2011. ^ Parker, Lyndsey (January 18, 2011). "Fun With Facts: Things You Didn't Know About 'American Idol' But Were Too Glued To Your TV Set To Ask". Yahoo Music Blogs: Reality Rocks. Archived from the original on January 22, 2011. Retrieved October 26, 2011. ^ a b Bronson, Fred (May 12, 2015). "Top 100 'American Idol' Hits of All Time". Billboard. ^ "Carrie Underwood Moves Past Kelly Clarkson In Top US Album Sales By An American Idol Artist". Top40.about.com. Retrieved February 24, 2011. ^ EXTRA (November 20, 2002). "'American Idol'". ^ "After probe, Paula Abdul to remain on 'Idol'". Today. Associated Press. August 24, 2005. ^ a b Moss, Corey (February 4, 2004). "'American Idol' Steps Up Screening Process For Contestants". Mtv. Retrieved February 24, 2011. ^ a b Deborah Starr Seibel (May 17, 2004). "American Idol Outrage: Your Vote Doesn't Count". ^ Logan Martin (January 17, 2006). ""It's Going to be a Very Strong Season, I Think": An Interview with American Idol Producer Nigel Lythgoe". Archived from the original on July 13, 2009. ^ "Top 24 American Idols of All Time". Billboard. Archived from the original on November 12, 2010. Retrieved May 16, 2013. ^ "Buzz over Jennifer Hudson's ouster from 'American Idol 3' continues". Realitytvworld.com. April 26, 2004. Retrieved February 24, 2011. ^ "Elton John Says 'American Idol' Vote Is 'Racist'". Archived from the original on April 29, 2004. Retrieved April 29, 2004. , Reuters via Yahoo.com, 2004-04-28, Retrieved on March 2, 2007. ^ ""Simon Kept Me in My Place": An Interview with John Stevens". Foxesonidol.com. April 30, 2004. Archived from the original on December 27, 2010. Retrieved February 24, 2011. ^ "Simon Cowell's Favorite 'Idol' Moment". Extratv.warnerbros.com. May 25, 2010. Retrieved February 24, 2011. ^ Moss, Corey (March 14, 2005). "Mario Vazquez Quits 'Idol' – 'It Wasn't Right For Me' Favored finalist drops out 'to focus on personal things.'". Mtv. Retrieved February 24, 2011. ^ ""A.I." Contestant Accused of "Masturbating" in Suit". Tmz.com. December 3, 2007. Retrieved February 24, 2011. ^ "Carrie Underwood's 'Inside Your Heaven' Debuts as Best Selling Song in the Nation and Breaks Chart History". PRNewswire. June 23, 2005. ^ Jim Asker (January 21, 2015). "Rewinding the Country Charts: 10 Years Ago, Carrie Underwood Motored to Her First No. 1". Billboard. Prometheus Global Media. Retrieved January 24, 2016. ^ "Disqualified Brittenum twins return for 'American Idol 7' auditions". Realitytvworld.com. August 17, 2007. Retrieved February 24, 2011. ^ "Chris Daughtry gets job offer from Fuel". USA Today. May 12, 2006. Retrieved February 24, 2011. ^ Moss, Corey (March 24, 2006). "Did 'Idol' Contender Daughtry Go Over The Line With 'Walk The Line' Cover?". Mtv. Retrieved February 24, 2011. ^ a b Bill Keveney (January 14, 2014). "TV Singing Shows Fail To Create Stars". USA Today. ^ a b "'Idol' Death Star Returns – Premiere ratings build on last year's ginormous numbers". tv.zap2it.com. January 17, 2007. Retrieved January 17, 2007. ^ "Sanjaya on 'Idol' rocks a faux-hawk". Today.msnbc.msn.com. March 28, 2007. Retrieved February 24, 2011. ^ "Buh-Bye-Ya, Sanjaya!". Us Weekly. April 19, 2007. Archived from the original on May 25, 2007. Retrieved May 16, 2013. ^ a b c d "'American Idol's "Idol Gives Back" charity special raises $45 million". Realitytvworld.com. April 26, 2010. Retrieved February 24, 2011. ^ Natalie Finn (May 23, 2007). "Jordin Sparks Idol Finale". E Online. ^ a b "American Idol Controversy: The Ringers of Season 7". Buddytv.com. January 30, 2008. Retrieved February 24, 2011. ^ "Irish Idol: Smithson's Secret Past". New.music.yahoo.com. February 14, 2008. Archived from the original on October 1, 2011. Retrieved February 24, 2011. ^ Kaufman, Gil (March 5, 2008). "'American Idol' Producer OKs David Hernandez's Stripper Past; Show Keeps Mum On Danny Noriega Video". Mtv. Retrieved February 24, 2011. ^ Halperin, Shirley (March 28, 2008). "Chris Cornell defends 'Idol' contender David Cook". Hollywoodinsider.ew.com. Archived from the original on October 12, 2010. Retrieved February 24, 2011. ^ Kaufman, Gil (April 2, 2008). "'American Idol' Contestant David Cook Reportedly Rushed To Hospital After Show". Mtv. Retrieved February 24, 2011. ^ Mansfield, Brian (January 7, 2011). "Jennifer Lopez says new 'Idol' judges are 'more collaborative'". USA Today. Retrieved February 24, 2011. ^ "Jeff Buckley's 'Hallelujah' Becomes America's Number One Digital Song". PRNewswire. March 13, 2008. Retrieved November 6, 2012. ^ Hazlett, Courtney (August 18, 2010). "'Idol's' emotional focus will highlight Abdul". MSNBC. Retrieved August 25, 2010. ^ Lythgoe Leaving 'American Idol' Retrieved on May 8, 2008. ^ "Report: Kris Allen's home state cast 38 million 'American Idol' votes". Realitytvworld.com. May 21, 2009. Retrieved February 24, 2011. ^ "Conway reacts to Kris' win". Fox16.com. Archived from the original on July 11, 2011. Retrieved February 24, 2011. ^ a b Wyatt, Edward (May 27, 2009). ""Idol" producers stand by outcome". The New York Times. ^ Barrie Gunter. I Want to Change My Life: Can Reality TV Competition Shows Trigger Lasting Career Success?. pp. 34–35. ISBN 9781443864749. ^ Singh, Anita (January 15, 2010). "Pants On The Ground video: American Idol's General Larry Platt is overnight star". The Daily Telegraph. London. Retrieved February 24, 2011. ^ a b "Crystal Bowersox: Her First Interview on Diabetes". Diabetesmine.com. Retrieved February 24, 2011. ^ Grady Smith (October 21, 2011). "Crystal Bowersox, Lee DeWyze both dropped by their record label: For 'Idol', what a difference a year makes". EW. ^ "American Idol Accepting Online Auditions This Season". Popeater.com. September 15, 2010. Retrieved February 24, 2011. ^ Gil Kaufman (January 27, 2011). "Chris Medina's 'American Idol' Story Recalls Danny Gokey's". MTV. ^ Us Weekly (April 8, 2011). "Jennifer Hudson, Tom Hanks Outraged Over Pia Toscano's 'Idol' Elimination | Rolling Stone Culture". Rolling Stone. Retrieved August 6, 2011. ^ "'Idol's' Scotty McCreery Makes History at No. 1 on Billboard 200". Billboard. May 13, 2013. Retrieved May 19, 2013. ^ Kevin O'Donnell (March 16, 2012). "Jermaine Jones: I Didn't Know I Broke American Idol's Rules". People. ^ "Bad Kidneys Won't Keep Me Off Show". TMZ. March 16, 2012. ^ Brian Mansfield (May 24, 2012). "Surgery won't affect Idols tour, Phillips says". USA Today. Idol Chatter. Retrieved May 25, 2012. ^ Marisa Laudadio (July 1, 2012). "Phillip Phillips Reveals Details of Year-Long Kidney Crisis". People.com. Retrieved July 3, 2012. ^ Paul Grein (October 24, 2012). "Chart Watch Extra: Phillip Phillips' Idol Record". Chart Watch. Yahoo Music. Retrieved October 24, 2012. ^ Annie Barrett (January 23, 2013). "'American Idol': Nicki Minaj-Mariah Carey brawl sparked by disagreement over 'country thing'". Entertainment Weekly. ^ Lyndsey Parker (January 13, 2014). "10 Ways 'American Idol' is Trying to Win You Back". RollingStone. ^ "Louis J. Horvitz To Direct 'American Idol' This Season". Deadline. December 19, 2013. ^ Fred Bronson (May 14, 2014). "American Idol' Celebrates 500th Episode: The Highs and Lows of 13 Seasons". Hollywood Reporter. ^ "American Idol season finale recap: We Just Rocked You". Jake Perlman. Retrieved May 21, 2014. ^ Paul Grein (August 20, 2014). "Chart Watch: A New Low For 'American Idol'". Yahoo! Music. ^ Matt Webb Mitovich. "'American Idol' Season 14 — One Night a Week Starting Top 10 – TVLine". TVLine. Retrieved April 20, 2015. ^ "Coca-Cola Ends Sponsorship Of 'American Idol'". ^ McKenzie, Joi-Marie (April 9, 2016). "Ryan Seacrest Explains Mysterious 'American Idol' Sign-Off on Series Finale". ABC. ^ Esposito, Jennifer. "Trent Harmon's 'Falling' Written By Keith Urban Will Heat Up Country Radio If He Wins American Idol". The Inquistr. ^ "Dalton Rapattoni's "Strike A Match" Now Leading Trent, La'Porsha Singles on iTunes Sales Chart". Headline Planet. April 7, 2016. ^ "MacKenzie Bourg's "Roses" Reached Top 5 on iTunes Sales Chart; Trent's "Falling" Now #4". Headline Planet. July 7, 2016. ^ Holloway, Daniel. "NBC in Talk to Revive "American Idol"". Variety. Retrieved February 9, 2017. ^ Pena, Jessica. "American Idol: Revival Reportedly Not Moving Forward". TV Series Finale. Retrieved April 4, 2017. ^ Nemetz, Dave (May 2, 2017). "American Idol Reboot Eyed at ABC". TVLine. ^ O'Connell, Michael (May 9, 2017). "'American Idol' Officially Returning at ABC". Billboard. ^ Holloway, Daniel, ‘American Idol’: ABC Confirms Plan to Revive Talent Competition Series, Variety, May 9, 2017. Retrieved May 9, 2017. ^ Evans, Greg. "Ryan Seacrest Returns To Host ABC's 'American Idol'; Keeps 'Kelly & Ryan' Gig". Deadline. ^ Staff, Variety. "'American Idol' Premiere Date Revealed". Variety. Retrieved November 6, 2017. ^ Porter, Rick (May 4, 2018). "'American Idol' gets a second season of its second life on ABC". TV by the Numbers. Retrieved May 4, 2018. ^ "The Return Of 'American Idol': Money Never Dies". Forbes. January 17, 2013. Retrieved February 11, 2013. ^ a b c d e f g h i j k Andreeva, Nellie (January 20, 2011). "Ratings rat race". Deadline Hollywood. Retrieved February 24, 2011. ^ a b c d e f g Seidman, Robert. "TV Ratings Wednesday: Simon's Final American Idol Down 18%; Lowest-Rated Idol Finale". Tvbythenumbers.com. Retrieved February 24, 2011. ^ American Idol does not have a ranking for the 2001–2002 season because it aired in the summer of 2002. If it had aired within the official 2001–2002 U.S. television season, the Wednesday results show would have ranked number 25 and the Tuesday performance show would have ranked number 30, assuming it would have had the same rating as it did in the summer. ^ "Top 20 Most-Watched TV Programs in 2002–03". Blog.newsok.com. January 12, 2010. Archived from the original on June 29, 2012. Retrieved February 24, 2011. ^ a b "Google Groups". Retrieved April 20, 2015. ^ "Viewership numbers of primetime programs during the 2004 television season". Web.archive.org. Archived from the original on February 8, 2007. ^ a b "ABC Medianet". Archived from the original on February 8, 2007. Retrieved April 20, 2015. ^ "Viewership numbers of primetime programs during the 2005 television season". Web.archive.org. June 1, 2005. Archived from the original on March 10, 2007. ^ a b "Disney – ABC Press". Archived from the original on April 21, 2012. Retrieved April 20, 2015. ^ "Viewership numbers of primetime programs during the 2006 television season". Web.archive.org. May 31, 2006. Archived from the original on March 10, 2007. ^ a b "Disney – ABC Press". Archived from the original on October 11, 2014. Retrieved April 20, 2015. ^ "Ratings Wrapup: CBS and Fox Win, Again". Zap2it.com. May 25, 2007. Retrieved August 25, 2010. ^ a b "Disney – ABC Press". Archived from the original on March 23, 2012. Retrieved April 20, 2015. ^ Seidman, Robert. "Nielsen Ratings: Weekly Top 20, David vs. David Finale Scores Big for FOX". Tvbythenumbers.com. Retrieved February 24, 2011. ^ "Nine of the top 20 shows in 2007–2008 were reality; Idol's performance show takes #1". Realityblurred.com. May 28, 2008. Archived from the original on April 1, 2010. Retrieved August 25, 2010. ^ a b "Disney – ABC Press". Archived from the original on April 13, 2010. Retrieved April 20, 2015. ^ Seidman, Robert (May 27, 2009). "Another American Idol Finale Shocker: Not the Lowest Rated!". Tvbythenumbers.com. Retrieved February 24, 2011. ^ Gorman, Bill (May 28, 2009). "American Idol, Dancing With The Stars Top Average Viewership For 2008-9 Season". Tvbythenumbers.com. Archived from the original on June 1, 2009. Retrieved February 24, 2011. ^ a b "Disney – ABC Press". Archived from the original on June 19, 2009. Retrieved April 20, 2015. ^ "TV Ratings Top 25: American Idol, Big Bang Theory, Two And A Half Men Top 18–49 Ratings". Tvbythenumbers.com. Archived from the original on June 5, 2010. Retrieved August 25, 2010. ^ "Final 2009–10 Broadcast Primetime Show Average Viewership". Tvbythenumbers.com. June 16, 2010. Archived from the original on June 19, 2010. Retrieved August 25, 2010. ^ a b "Final 2009–10 Broadcast Primetime Show Average Viewership". TVbytheNumbers. Archived from the original on June 20, 2011. Retrieved April 20, 2015. ^ a b Seidman, Robert (January 25, 2011). "tvbythenumbers Jan 25, 2011". Tvbythenumbers.zap2it.com. Retrieved February 24, 2011. ^ Seidman, Robert (June 1, 2011). "TV Ratings Broadcast Top 25: 'American Idol,' 'Dancing With The Stars,' 'Glee,' 'Modern Family' Top Season's Final Week". TV by the Numbers. Retrieved June 2, 2011. ^ Andreeva, Nellie (May 27, 2011). "Full 2010–11 Season Series Rankers". Deadline Hollywood. Archived from the original on June 4, 2011. Retrieved May 27, 2011. ^ a b "2010–11 Season Broadcast Primetime Show Viewership Averages". TVbytheNumbers. Archived from the original on June 20, 2011. Retrieved April 20, 2015. ^ a b Seidman, Robert (January 24, 2012). "TV Ratings Broadcast Top 25: Giants-49ers, 'American Idol,' 'Big Bang Theory' Top Week 18". TVbytheNumbers. Retrieved January 25, 2012. ^ a b Bibel, Sara (May 30, 2012). "TV Ratings Broadcast Top 25: 'American Idol' Tops Week 36 Viewing; 'Modern Family' is Number One Scripted Program". TVbytheNumbers. Retrieved May 31, 2012. ^ a b Andreeva, Nellie (May 24, 2012). "Full 2011–2012 TV Season Series Rankings". Retrieved May 25, 2012. ^ a b "Complete List Of 2011-12 Season TV Show Viewership: 'Sunday Night Football' Tops, Followed By 'American Idol,' 'NCIS' & 'Dancing With The Stars' - Ratings - TVbytheNumbers.Zap2it.com". TVbytheNumbers. Retrieved April 20, 2015. ^ Kondolojy, Amanda (January 27, 2013). "Wednesday Final Ratings: 'Criminal Minds' Adjusted Up; 'Suburgatory' & 'The Neighbors' Adjusted Down". TVbytheNumbers. Retrieved January 17, 2013. ^ Bibel, Sara (May 21, 2013). "TV Ratings Broadcast Top 25: 'The Big Bang Theory' Tops Week 34 Viewing Among Adults 18–49, 'NCIS' on Top With Total Viewers". TVbytheNumbers. Retrieved May 21, 2013. ^ Bibel, Sara (May 29, 2013). "Complete 2012–2013 TV Season Series Rankings". Zap2it. ^ a b "Complete List Of 2012-13 Season TV Show Viewership: 'Sunday Night Football' Tops, Followed By 'NCIS,' 'The Big Bang Theory' & 'NCIS: Los Angeles' - Ratings - TVbytheNumbers.Zap2it.com". TVbytheNumbers. Retrieved April 20, 2015. ^ Kondolojy, Amanda (January 16, 2014). "Wednesday Final Ratings: 'American Idol' Adjusted Up; 'Law and Order: SVU', 'The Tomorrow People' & 'Super Fun Night' Adjusted Down". TVbytheNumbers. Retrieved January 16, 2014. ^ Kondolojy, Amanda (May 22, 2014). "Wednesday Final Ratings: 'Survivor', 'The Middle' & 'Modern Family' Adjusted Up; 'Survivor' Reunion Adjusted Down". TV by the Numbers. ^ "Full 2013–2014 TV Season Series Rankings". Deadline Hollywood. May 22, 2014. Retrieved May 23, 2014. ^ a b "Primetime Ratings Total Audience 2013–2014". ^ "Wednesday Final Ratings: No Adjustments Beyond Previously Released Increases for 'Empire' & 'American Idol'". TVbytheNumbers. Retrieved April 20, 2015. ^ "Tuesday Final Ratings: 'The Flash', 'NCIS', & 'American Idol' Adjusted Up; 'iZombie' Adjusted Down". TVbytheNumbers. Retrieved May 14, 2015. ^ "Wednesday Final Ratings: 'Law & Order: SVU', 'Survivor, 'The Middle' & 'American Idol' Adjusted Up; 'Supernatural', 'black-ish' & 'Nashville' Adjusted Down". TVbytheNumbers. Retrieved May 15, 2015. ^ a b Lisa de Moraes. "2014–15 Full TV Season Ratings: Rankings For All Shows – Deadline". Deadline. Archived from the original on May 22, 2015. ^ Porter, Rick (January 7, 2016). "Wednesday final ratings: 'American Idol' and 'Modern Family' adjust up". TV By The Numbers. Retrieved January 7, 2016. ^ Porter, Rick (April 7, 2016). "Wednesday final ratings: 'Empire' and 'Modern Family' adjust up, 'Nashville' adjusts down". TV By The Numbers. Retrieved April 7, 2016. ^ Porter, Rick (April 8, 2016). "Thursday final ratings: 'Big Bang Theory' adjusts up, 'Odd Couple' and 'The 100' adjust down". TV By The Numbers. Retrieved April 8, 2016. ^ a b Lisa de Moraes. "Full 2015–16 TV Season Series Rankings: 'Blindspot', 'Life In Pieces' & 'Quantico' Lead Newcomers". Deadline. ^ Porter, Rick (March 13, 2018). "'Bob's Burgers' and 'Ninja Warrior' adjust up, 'Deception' adjusts down: Sunday final ratings". TV by the Numbers. Tribune Media. Retrieved March 13, 2018. ^ Porter, Rick (May 22, 2018). "'Bob's Burgers,' 'Family Guy' and 'Dateline' adjust down: Sunday final ratings". TV by the Numbers. Retrieved May 22, 2018. ^ a b Porter, Rick (June 11, 2018). "Final Live +7 viewer averages for 2017-18: 'Roseanne,' 'Big Bang Theory' surpass 'SNF'". TV by the Numbers. Retrieved June 11, 2018. ^ Welch, Alex (March 5, 2019). "'60 Minutes,' 'The Simpsons' adjust down: Sunday final ratings". TV by the Numbers. Retrieved March 5, 2019. ^ "ABC Announces May Season Finale Dates". The Futon Critic. April 3, 2019. ^ "US Pop Idol proves ratings hit". BBC News. June 14, 2002. Retrieved February 24, 2011. ^ a b Bill Carter; Stuart Elliott (September 6, 2002). "Success of 'American Idol' To Spawn Many Copycats". The New York Times. ^ "Ruben Studdard becomes second 'American Idol' winner by razor-thin margin". Realitytvworld.com. May 22, 2003. Retrieved February 24, 2011. ^ a b c "American Idol's sixth season finale averages over 30 million viewers". Realitytvworld.com. Retrieved February 24, 2011. ^ a b "'American Idol' returns with big plans, deals". Today.msnbc.msn.com. Retrieved February 24, 2011. ^ Collins, Scott (April 21, 2008). "Ominous signs for American Idol". LA Times.com. Retrieved August 25, 2010. ^ Bouder, David (May 23, 2008). "Fox wins TV season on strong 'Idol' finish". USA Today. Retrieved October 26, 2011. ^ Wyatt, Edward (May 24, 2008). ""Idol" tries to keep viewers guessing". The New York Times. ^ Krukowski, Andrew. "May Sweeps Sees Record Low Ratings". Tvweek.com. Archived from the original on October 25, 2011. Retrieved February 24, 2011. ^ Seidman, Robert (January 15, 2009). "Updated: Idol strong, retains almost 100% of night one audience". Tvbythenumbers.com. Retrieved February 24, 2011. ^ de Moraes, Lisa (February 19, 2010). "NBC's Winter Olympic coverage breaks 'American Idol's ratings streak". The Washington Post. Retrieved March 16, 2010. ^ Herbert, Steven. "Even in decline, 'Idol' is TV's No. 1 show". The Orange County Register. Retrieved August 25, 2010. ^ Gorman, Bill (May 26, 2011). "Updated TV Ratings Wednesday: 'American Idol' Finale Up, Buries Competition; ABC's Finales Down vs. Last Year". Tvbythenumbers.zap2it.com. Retrieved August 6, 2011. ^ Carter, Bill; Vega, Tanzina (May 14, 2011). "In Shift, Ads Try to Entice Over-55 Set". The New York Times. Retrieved August 6, 2011. ^ "The Masked Scheduler on 'American Idol,' part 3: How research and scheduling shaped the show". TV by the Numbers. March 8, 2018. ^ Stelter, Brian (May 22, 2012). "'Idol' Grapples With Its Own Competition". The New York Times. Retrieved May 24, 2012. ^ James Hibberd (March 24, 2013). "'American Idol' drops again: How low will the ratings go?". EW.com. ^ Rick Kissell (May 17, 2013). "'American Idol' Finale Down 44% From Last Year". Variety. ^ Hollie McKay (May 21, 2013). "'American Idol' at a crossroads: Next season to bring fresh judges, many changes". Fox News. ^ "Fox Faces Challenge to Make 'American Idol' Sing". Variety. Retrieved January 7, 2015. ^ "In season 14, 'American Idol' hoping to bounce back". Boston Globe. Retrieved January 7, 2015. ^ Ken Tucker (July 4, 2002). "American Idol 2002–2002". Entertainment Weekly. Retrieved February 24, 2011. ^ Carina Chocano (September 4, 2002). "How to make an "American Idol"". Salon.com. Archived from the original on September 8, 2012. Retrieved September 21, 2011. ^ Dan Jewel (June 14, 2002). "'American Idol,' so needlessly cruel". Medialife magazine. Archived from the original on November 3, 2009. Retrieved October 21, 2011. ^ Gallo, Phil (August 19, 2002). "American Idol: The Search for a Superstar". Variety. Retrieved February 24, 2011. ^ "September 11: 'American Idol' Seizes the Day". The Washington Post. September 4, 2002. Retrieved February 24, 2011. ^ Michael Slezak (May 14, 2010). "Worshiping at the 'Idol' Church". The New York Times. ^ "Sheryl Crow Doesn't get American Idol". Buddytv.com. March 14, 2007. Retrieved August 6, 2011. ^ Ann Powers (May 23, 2012). "The End Of 'Idol': There Are No More Songs Left To Be Sung". NPR. Retrieved May 25, 2012. ^ Ramin Setoodeh (May 24, 2010). "It's a Cruel, Cruel World". Newsweek. Archived from the original on January 20, 2011. Retrieved February 24, 2011. ^ Hiatt, Brian (April 1, 2003). "False Idol". Ew.com. Retrieved April 3, 2011. ^ Angus Batey (April 29, 2010). "Usher: 'The fans want my soul'". The Guardian. UK. Retrieved February 24, 2011. ^ Elysa Gardner (August 15, 2005). "What price 'Idol' fame?". USA Today. Retrieved September 21, 2011. ^ "LeAnn Rimes Says Carrie Underwood 'Has Not Paid Her Dues' To Deserve Country Music Award". Starpulse.com. November 14, 2006. Archived from the original on November 25, 2011. Retrieved February 24, 2011. ^ Evans, Martin (October 19, 2010). "Sir Elton John claims today's music all sounds the same". The Daily Telegraph. London. Archived from the original on March 11, 2011. Retrieved February 24, 2011. ^ Centellas, Miguel. "Pop Culture in the Classroom: American Idol, Karl Marx, and Alexis de Tocqueville". PS: Political Science & Politics. ^ "'American Idol's' music cred growing". MSNBC. Associated Press. January 11, 2007. Retrieved February 24, 2011. ^ Phyllis Stark (May 14, 2015). "'American Idol' and Its Deep Impact On The Country Format". Billboard. ^ Sophie A. Schillaci, Michele Amabile Angermiller (May 24, 2012). "CMT Execs on Why 'American Idol' Rules Country and How the Industry is 'Divided' on Reality Show Success". Hollywood Reporter. Retrieved May 25, 2012. ^ Appelo, Tim (May 26, 2011). "Why 'American Idol' Gets Snubbed by the Emmys (Analysis)". The Hollywood Reporter. Retrieved August 6, 2011. ^ "People's Choice Awards 2011 Nominees". PeoplesChoice.com. Archived from the original on July 15, 2011. Retrieved August 6, 2011. ^ "Critics Choice TV Awards: 'American Idol,' Jim Parsons, Tina Fey Win". Hollywood Reporter. June 20, 2011. Retrieved August 6, 2011. ^ "TV Guide Magazine's 60 Best Series of All Time". TV Guide. ^ a b c d e f Kevin Downey (January 11, 2010). "Year after year, 'Idol' has a Southern accent". MSNBC. Retrieved April 15, 2010. ^ Rodney Ho (April 23, 2012). "Ryan Seacrest signs on to continue as 'Idol' host; most of the top 6 have Southern ties". blogs.ajc.com. Cox Newspapers. Archived from the original on April 26, 2012. Retrieved April 24, 2012. ^ Neely Tucker (April 18, 2006). "Who Put The Y'all In 'Idol'?". The Washington Post. ^ Harry J Enten (May 25, 2012). "American Idol: why do southerners always seem to win?". Guardian. ^ "Rise of the South on 'American Idol'". MSNBC. Associated Press. May 26, 2004. Retrieved April 15, 2010. ^ a b ""American Idol" Expert Says Jessica Sanchez Can't Win". ABC. ABC News. May 23, 2012. Retrieved May 23, 2012. ^ "Slaves of Celebrity". Salon.com. September 18, 2002. Archived from the original on February 12, 2010. Retrieved February 24, 2011. ^ Kerensky, Lauren (January 16, 2007). "WWealth doesn't trickle down to 'Idol' talent". MSNBC. Retrieved February 24, 2011. ^ "Simon Fuller: 'American Idol' Svengali". Today.msnbc.msn.com. January 20, 2004. Retrieved February 24, 2011. ^ "Idol's Most Notorious". Comcast.net. Archived from the original on March 13, 2009. Retrieved February 24, 2011. ^ Amy Bonawitz (March 6, 2007). "Frenchie Davis: "Idol" Double Standard?". Cbsnews.com. Retrieved February 24, 2011. ^ Susman, Gary (August 19, 2002). "Uncalled For". Ew.com. Retrieved April 3, 2011. ^ "A tale of two Simons". Financial Times. October 15, 2010. Retrieved February 24, 2011. ^ La, Paul R. (January 16, 2007). "'Idol' fatigue? Think again". CNN. Retrieved August 6, 2011. ^ Gorman, Bill (May 23, 2012). "FOX Sets New Broadcast Industry Record With 8th Consecutive Season Victory Among Adults 18–49 – Ratings". Tvbythenumbers.zap2it.com. Retrieved January 17, 2015. ^ a b Lieberman, David (March 30, 2005). "'American Idol' zooms from hit show to massive business". USA Today. Retrieved February 24, 2011. ^ Moss, Corey (January 24, 2007). "'American Idol' Imitators Find Success As Elusive As A Rave From Simon". Mtv. Retrieved August 6, 2011. ^ Lori Rackl (January 17, 2012). "Still on top, 'American Idol' honchos rib their rivals". Chicago Sun-Times. ^ Emily Yahr (March 31, 2016). "You may scoff at 'American Idol' now, but it changed pop culture forever". Washington Post. ^ "Pop culture sings an `American Idol' tune: Hit TV show's influence is embedded, lucrative". Startribune.com. March 8, 2009. Archived from the original on November 25, 2011. Retrieved August 6, 2011. ^ Zeitchik, Steven (May 7, 2006). "The money tree". Variety. Retrieved February 24, 2011. ^ Yahr, Emily (April 2, 2016). "You may scoff at 'American Idol' now, but it changed pop culture forever". Washington Post. ^ Jaffer, Murtz (April 7, 2016). "'American Idol' pulls off surprises even as it crowns last-ever winner". the Star. ^ Schillaci, Sophie (April 7, 2016). "The Complete List of 'American Idol' Winners: Where Are They Now?". E Online. ^ Bronson, Fred (March 7, 2016). "Kelly Clarkson Makes History as First 'American Idol' Contestant With 100 Billboard No. 1s". Billboard. ^ "American Idol Chart Achievements". Americanidol.com. December 16, 2009. Archived from the original on February 21, 2011. Retrieved February 24, 2011. ^ Mansfield, Brian (January 29, 2010). "Nielsen report shows the 'American Idol' impact on music sales". USA Today. Retrieved February 24, 2011. ^ "American Idol Has Massive Impact on Radio Airplay". California: Prnewswire.com. Retrieved February 24, 2011. ^ "Top 24 'American Idols' Of All-Time". Billboard. Retrieved April 20, 2015. ^ "American Idol to Receive 2016 Governors Award". ^ "Can 'American Idol' Stars Save Broadway". Popeater.com. Retrieved February 24, 2011. ^ Ben Brantley (March 27, 2005). "How Broadway Lost Its Voice to 'American Idol'". The New York Times. ^ Ho, Rodney (March 15, 2007). "Talk with Idol vocal coach". Palm Beach Post. Retrieved February 24, 2011. ^ Wyatt, Edward (May 10, 2009). "Despite Lower Ratings, Cash Flow Rises for 'Idol". The New York Times. ^ a b Smith, Ethan (January 12, 2010). "Blunt but Popular Simon Cowell Will Bow Out of 'American Idol'". The Wall Street Journal. Retrieved February 24, 2011. ^ "Idol Riches". Portfolio.com. September 11, 2008. Retrieved February 24, 2011. ^ a b "Brands Take The 'American Idol' Stage". Billboard.biz. May 12, 2009. Retrieved February 24, 2011. ^ a b "Idol's big three sponsors paid $35 million each for their brand integration". Realityblurred. January 15, 2008. Retrieved February 24, 2011. ^ "'American Idol' Charges Most for Ads". The New York Times. September 28, 2004. ^ "'Idol' Spots Going For A Song (Plus $700,000)". Adweek.com. September 12, 2005. Retrieved February 24, 2011. ^ "Goodbye Bucky, Hello Big Bucks! 'Idol' Ad Sales $oar". Abcnews.go.com. April 18, 2006. Retrieved February 24, 2011. ^ Hampp, Andrew (December 29, 2009). "Can 'Idol' Survive Without Its X Factor, Simon Cowell?". Adage.com. Retrieved February 24, 2011. ^ Pomerantz, Dorothy (March 16, 2011). "TV's Biggest Moneymakers". Forbes. Archived from the original on March 28, 2011. Retrieved March 18, 2011. ^ Bill Carter (April 6, 2010). "An 'Idol' Ratings Loss, but Not in Its Pocketbook". The New York Times. ^ Flint, Joe (July 6, 2010). "Even in decline, 'American Idol' can't be bought for a song". LA Times. Retrieved February 24, 2011. ^ Brian Steinberg (October 21, 2012). "TV Ad Prices: 'Idol' No Match for Football". Ad Age. ^ Michele Amabile Angermiller and Shirley Halperin (December 10, 2015). "American Idol' Final Season To Be Four Weeks Shorter Than Last". Billboard. ^ O’Reilly, Lara (March 7, 2018). "CMO Today: Discovery-Scripps Deal Closes; Brands Set For 'Idol' Return; Light Beer Marketing Face-Off". The Wall Street Journal. ^ Bill Carter (May 23, 2003). "Fox Mulls How to Exploit The Mojo of 'American Idol'". The New York Times. ^ "Coke builds 'Harmony' with 'Idol'". Variety. May 12, 2011. Retrieved May 23, 2011. ^ "The Nielsen Company Measures the American Idol Phenom". Nielsen.com. Retrieved February 24, 2011. ^ Svensson, Peter (June 27, 2003). "Wireless Carriers Try To Hook Americans On Text Messaging". Crn.com. Retrieved February 24, 2011. ^ Lindstrom, Martin (November 17, 2008). "Why 'Idol' Works For Coke-But Not For Ford". Adage.com. Retrieved February 24, 2011. ^ Dana Kasser (February 10, 2010). "Where Are The 'American Idol' Coke Cups? – MTV.com – February 10, 2010". MTV. Archived from the original on October 6, 2010. Retrieved August 25, 2010. ^ Torin Douglas (February 28, 2011). "Product placement ban on British TV lifted". BBC. UK. Archived from the original on May 20, 2011. Retrieved May 24, 2011. ^ "Style expert Steven Cojocaru to give 'American Idol' finalists an Old Navy makeover". Realitytvworld.com. Retrieved February 24, 2011. ^ James, Meg (March 17, 2011). "Pepsi hopes tapping a big gun will restore market share". Los Angeles Times. Retrieved March 16, 2011. ^ Steinberg, Brian (February 23, 2018). "Macy's, Johnson & Johnson Sign On as Major Sponsors of ABC's 'American Idol' (EXCLUSIVE)". Variety. ^ Michele Amabile Angermiller (March 31, 2016). "'American Idol' Pulls the Plug on Summer Tour". Billboard. Retrieved April 20, 2016. ^ Brooks, Dave (May 6, 2018). "'American Idol' Tour to Return For 2018 Season". Billboard. ^ Nielsen Business Media, Inc (December 23, 2006). The Year in Music and Touring 2006. Billboard. Retrieved February 24, 2011. ^ Michele Amabile Angermiller (March 31, 2016). "'American Idol' Pulls the Plug on Summer Tour". Billboard. ^ Shirley Halperin, "‘American Idol’ Finalists Will Tour This Summer," Variety, May 4, 2018. ^ "American Idol 'Season 5 Encores'". California: Prnewswire.com. Retrieved February 24, 2011. ^ "'American Idol' drops Sony, signs with Universal Music Group for distribution deal". Los Angeles Times. August 3, 2010. Retrieved February 24, 2011. ^ a b "Disney's Hollywood Studios tunes up for debut of American Idol Experience". Orlando Sentinel. January 27, 2009. Retrieved February 24, 2011. ^ "Topic Galleries –". Orlandosentinel.com. February 8, 2008. Archived from the original on October 15, 2008. Retrieved August 25, 2010. ^ Dewayne Bevil (August 15, 2014). "Closing time: Disney moves up end date for American Idol Experience". orlandosentinel.com. Tribune Newspapers. Retrieved February 13, 2015. ^ "Disney World plans American Idol attraction". The Daily Telegraph. February 8, 2008. ^ "Win Big with CTS TV this Fall!". Marketing Magazine. August 13, 2014. ^ "Say "Yes" to YES TV – YES TV Set to Launch This Fall". CTSTV.com. Crossroads Christian Communications. Archived from the original on August 12, 2014. Retrieved August 13, 2014. ^ "Iconic Music Series AMERICAN IDOL Lands on CTV Two, March 11". Bell Media. February 20, 2018. Retrieved February 25, 2018. ^ Brzeski, Patrick. "Australia's Network Ten Confirms 'Australian Idol' Not Returning". ^ "American Idol: la 12° stagione su La3". DTTI Digitale Terrestre. February 3, 2014. Retrieved October 24, 2014. Wikimedia Commons has media related to American Idol.